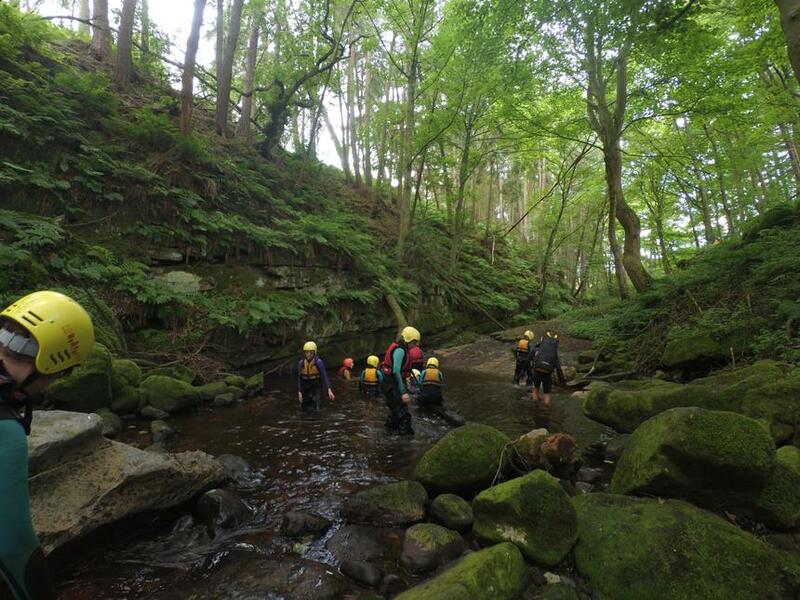 The children have just retired for the night following a full on action packed day. 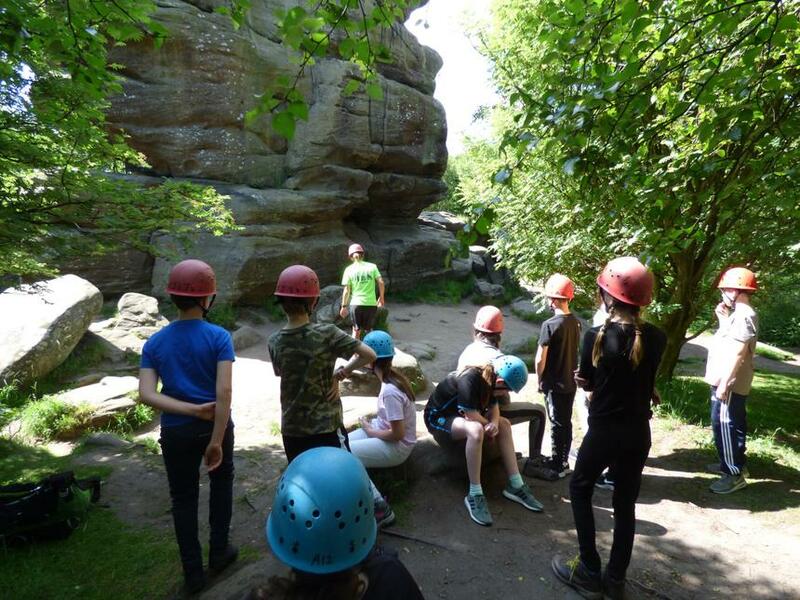 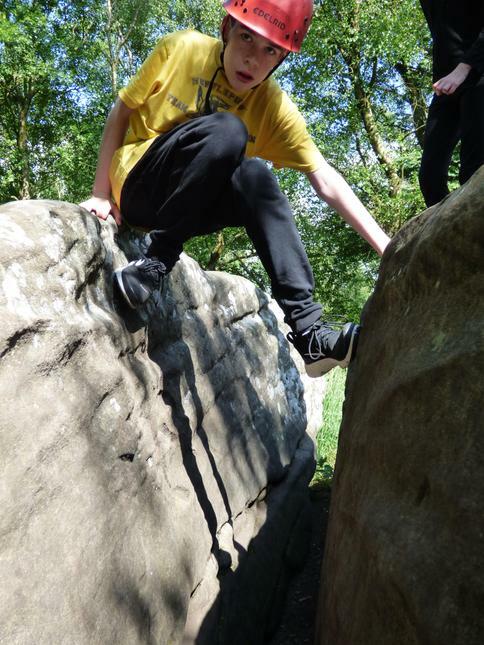 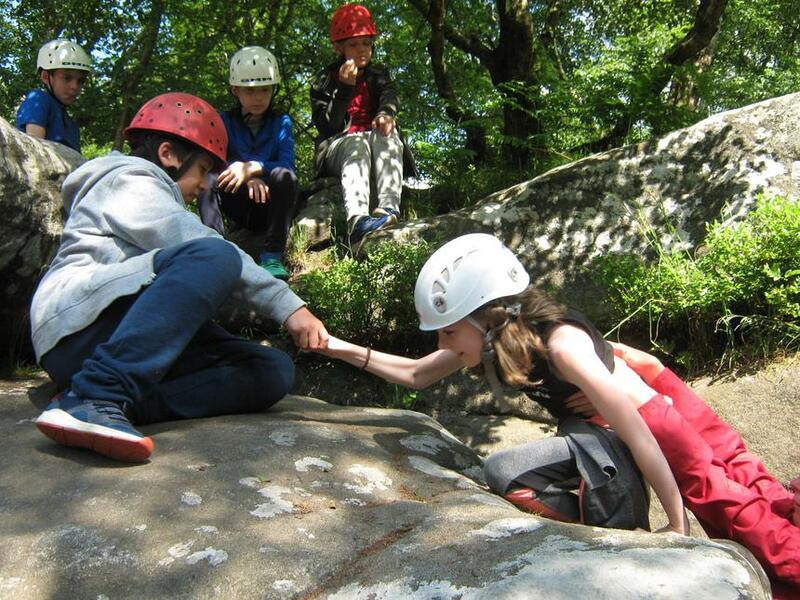 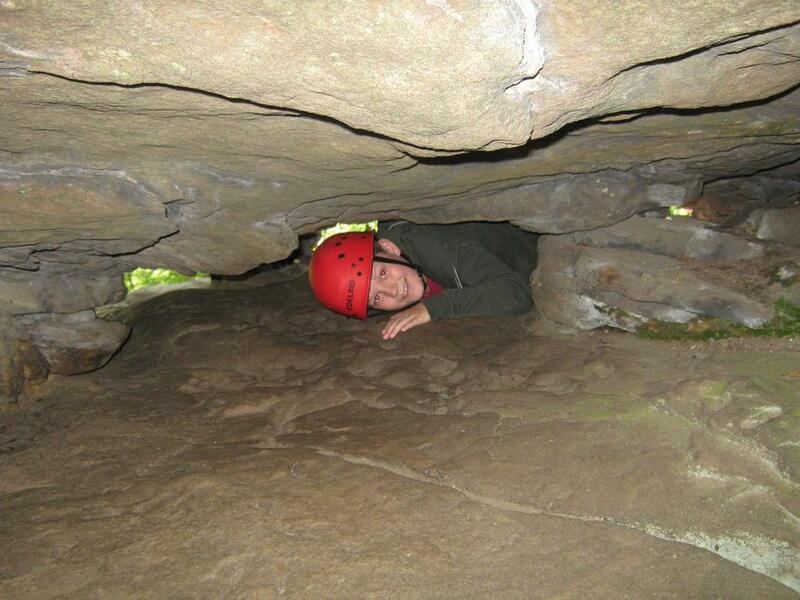 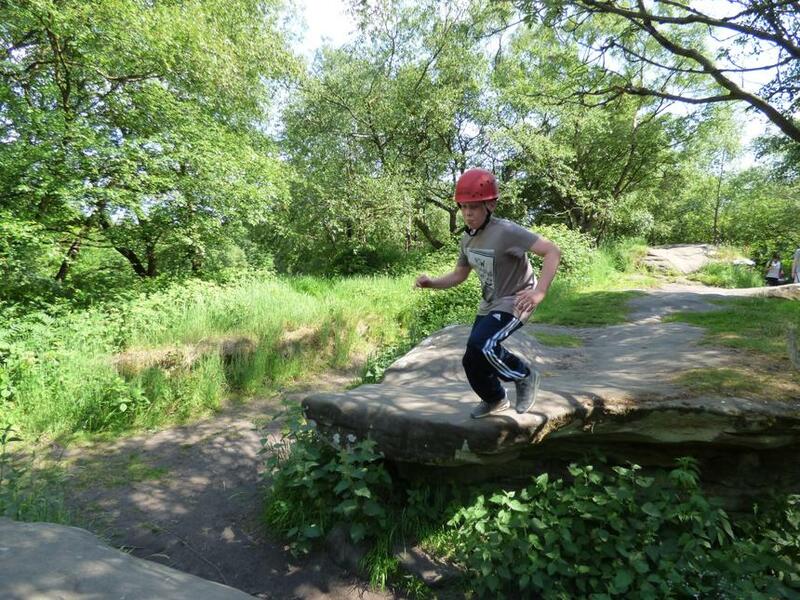 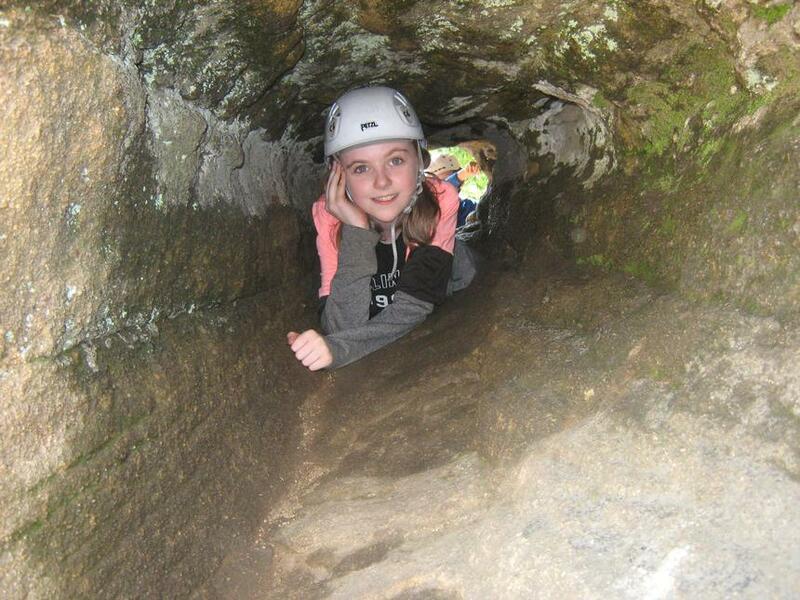 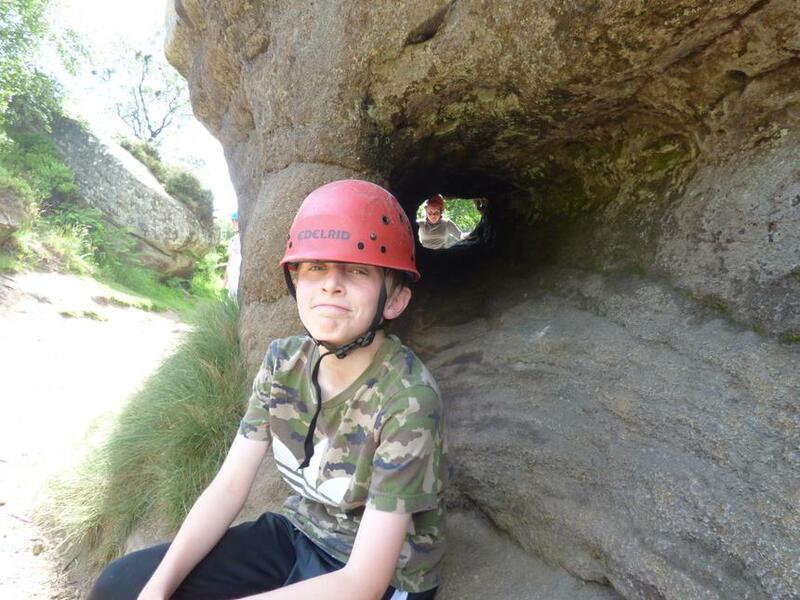 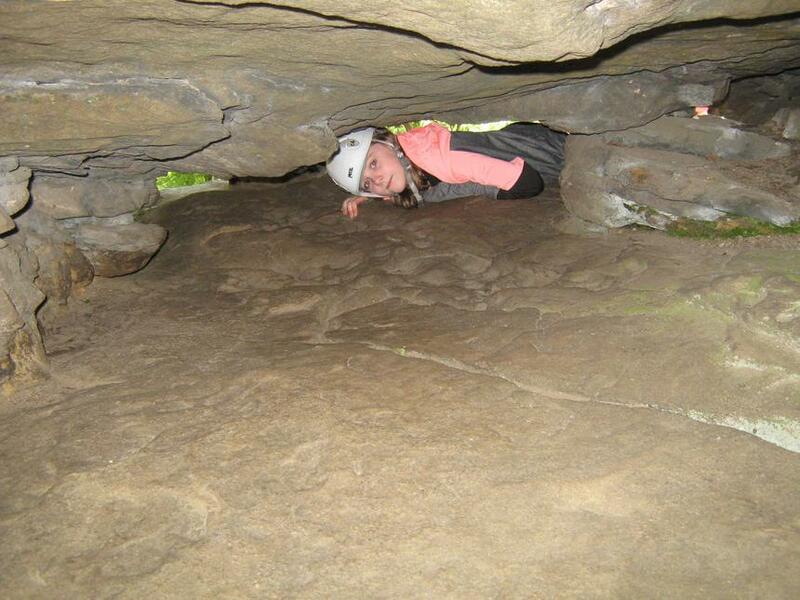 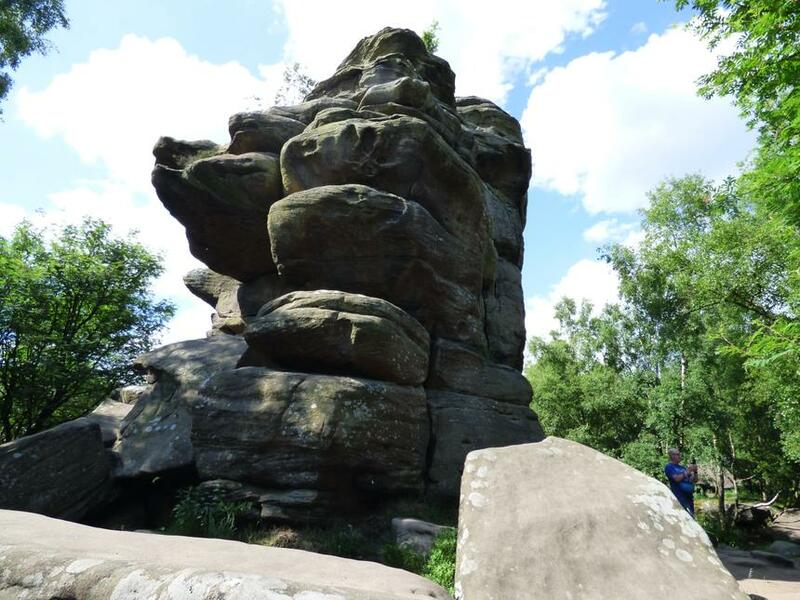 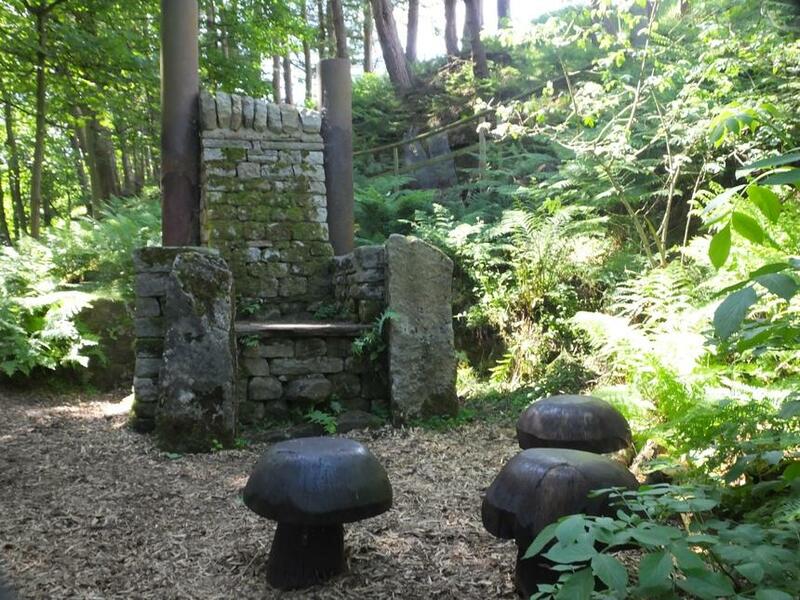 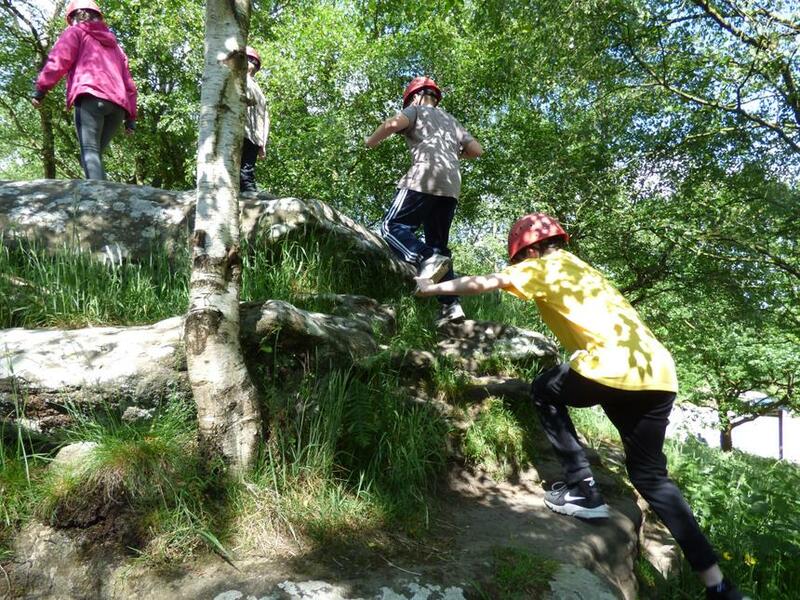 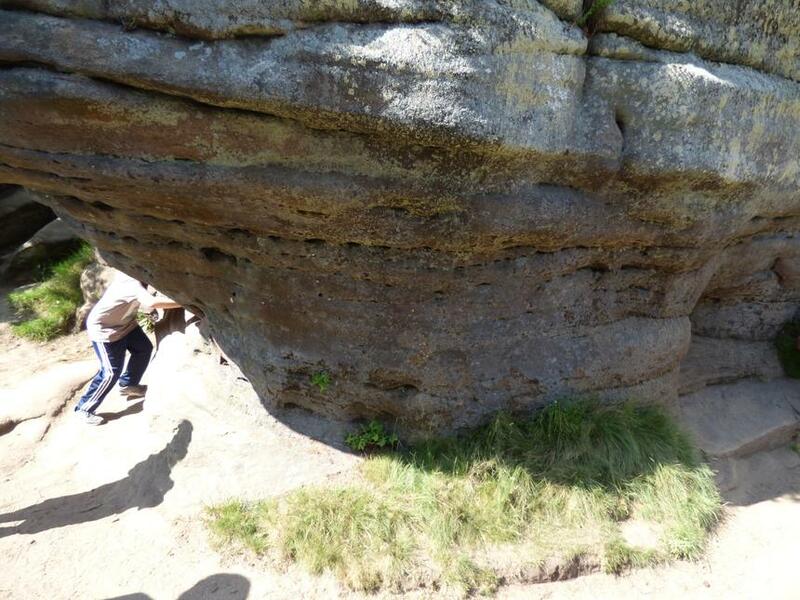 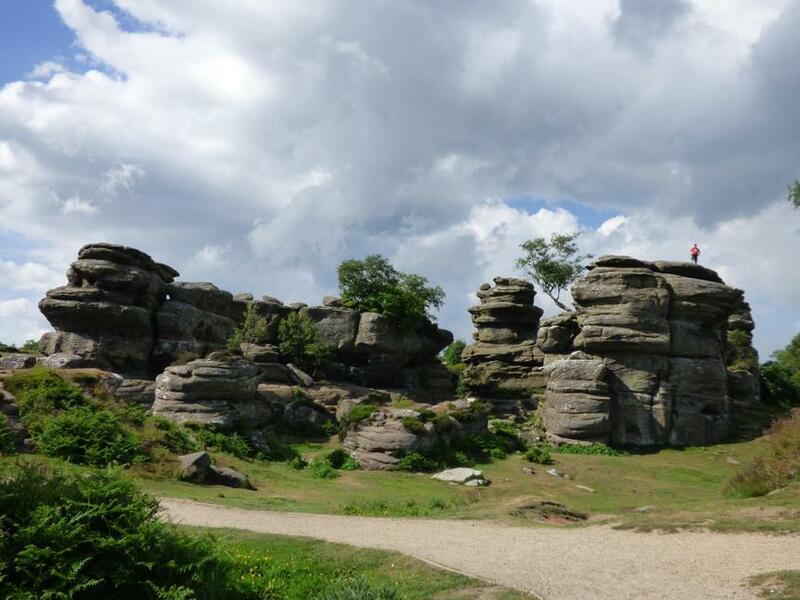 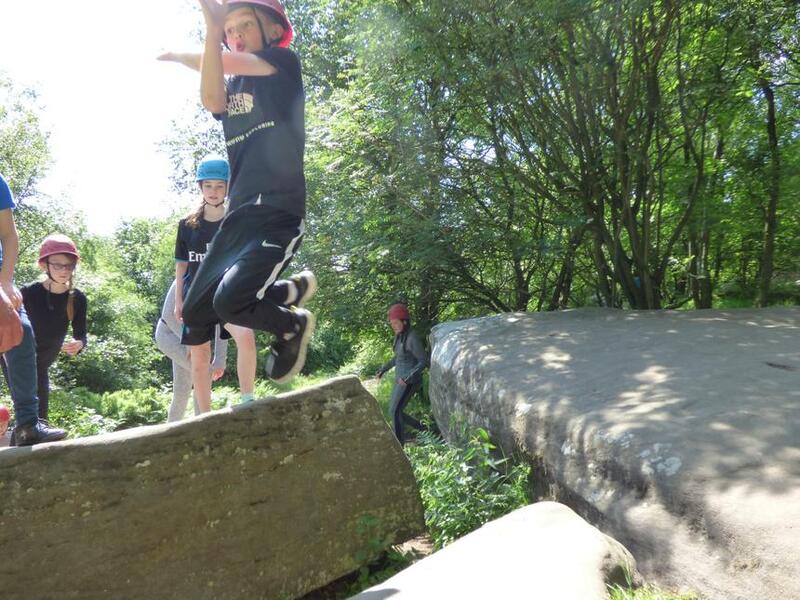 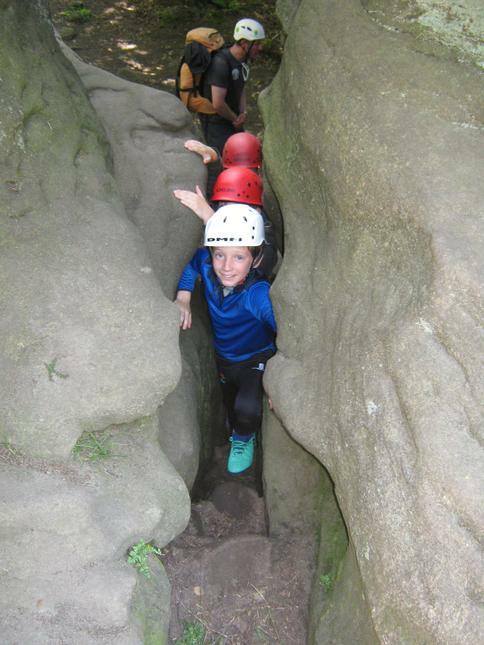 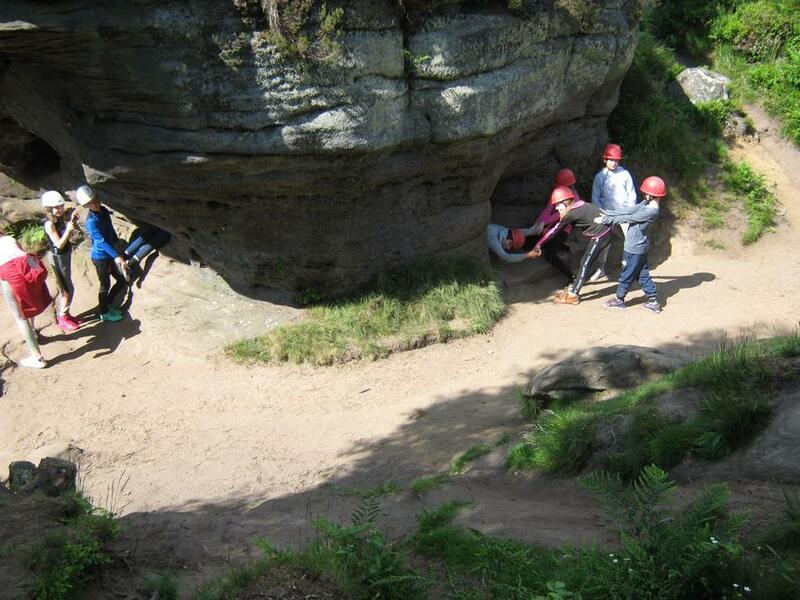 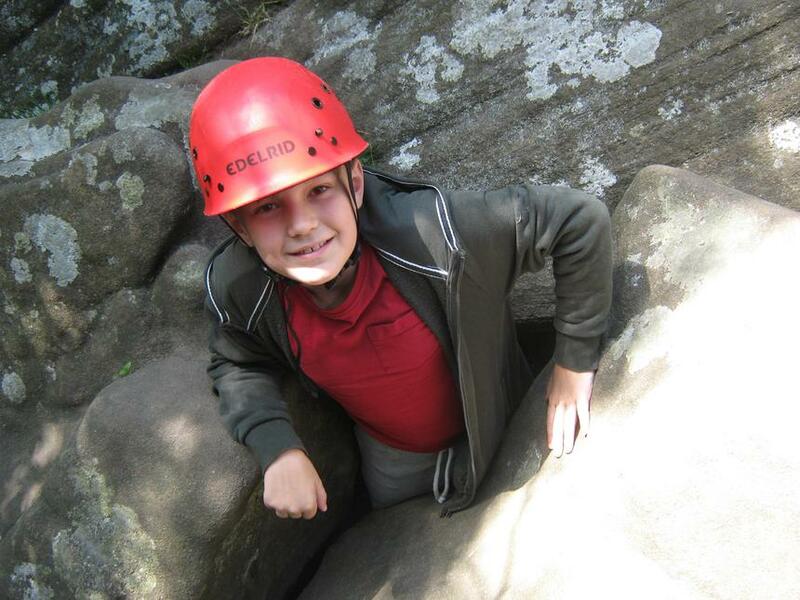 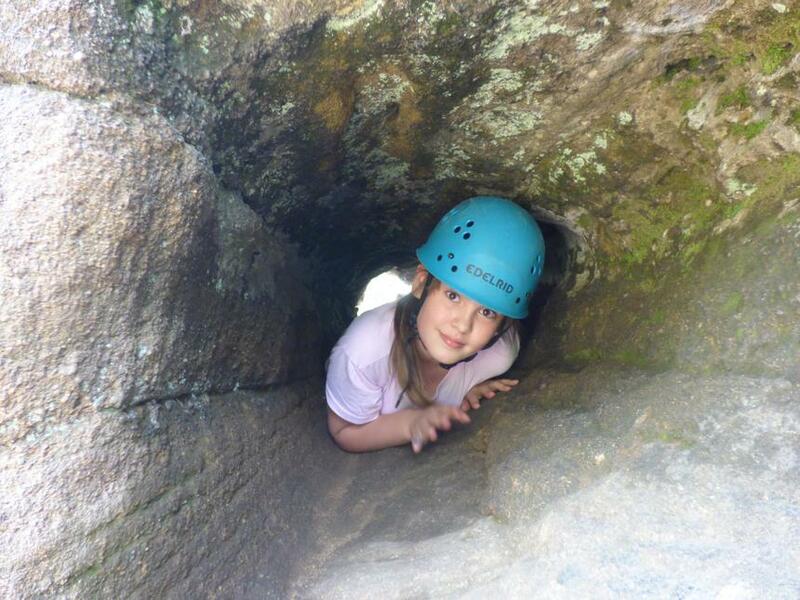 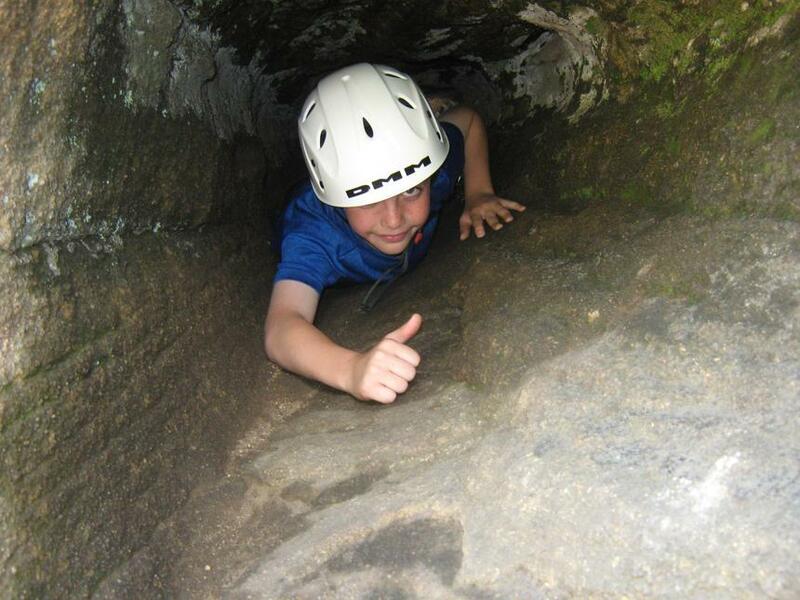 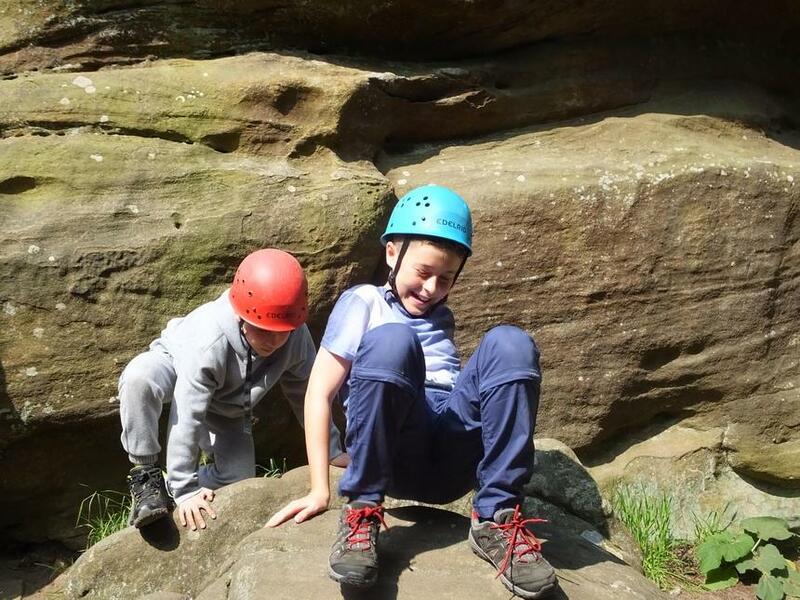 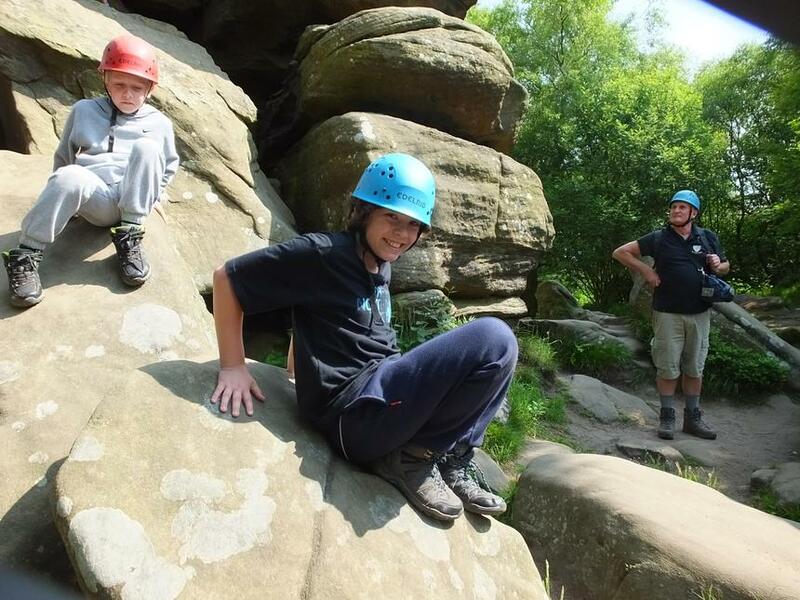 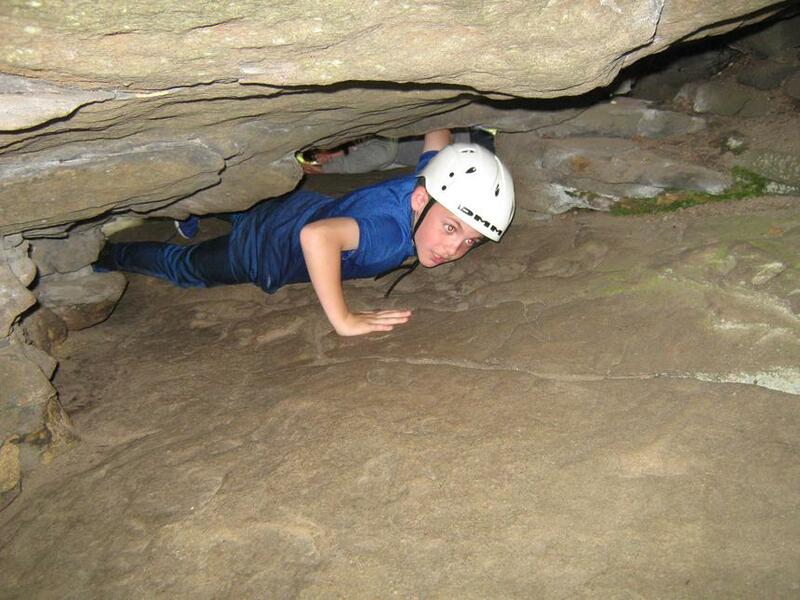 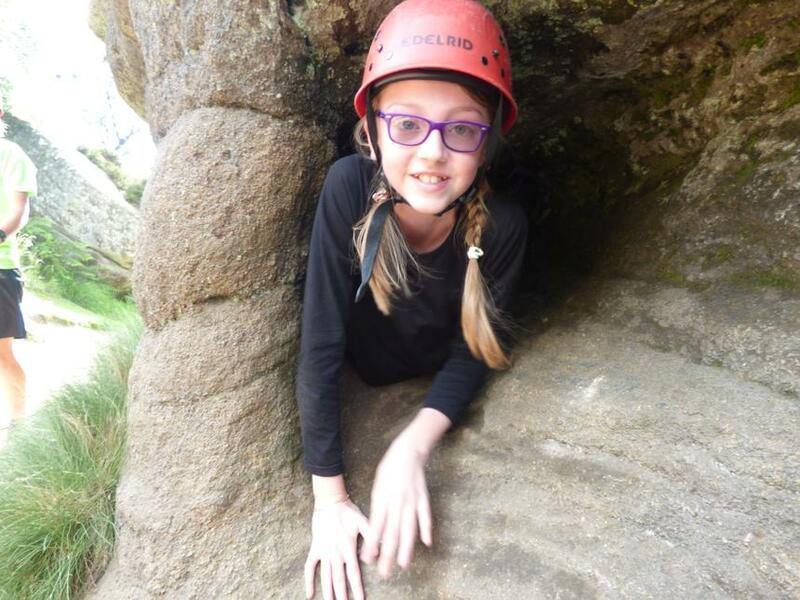 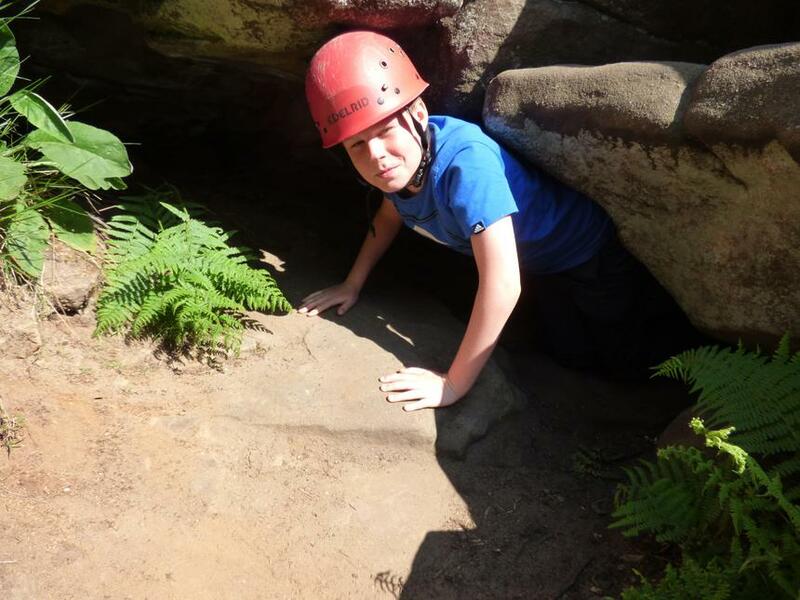 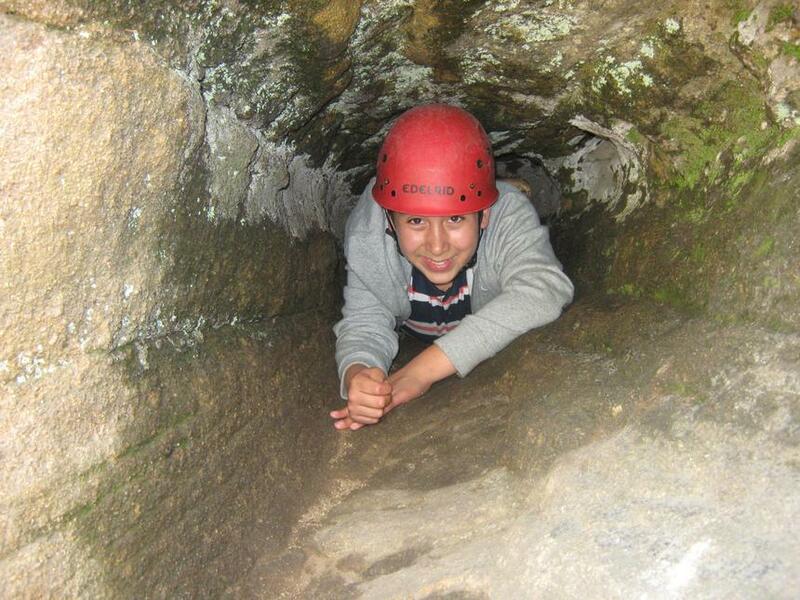 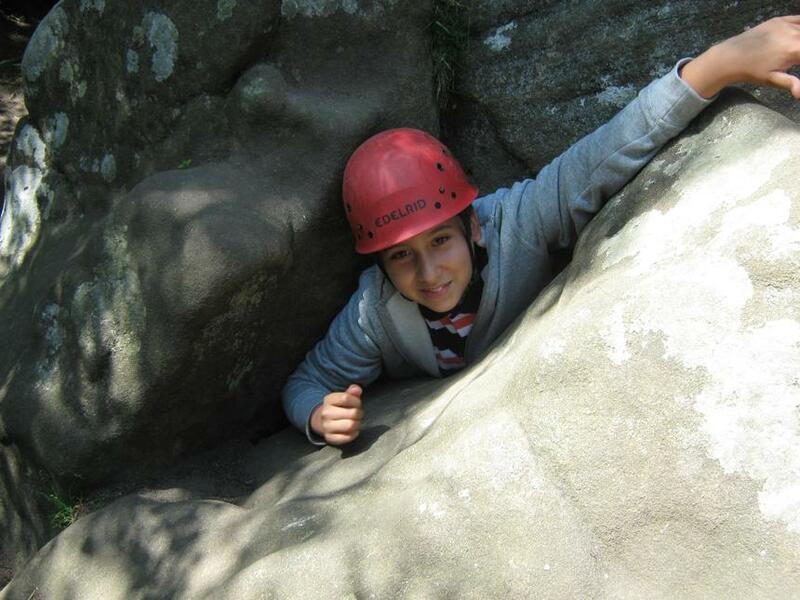 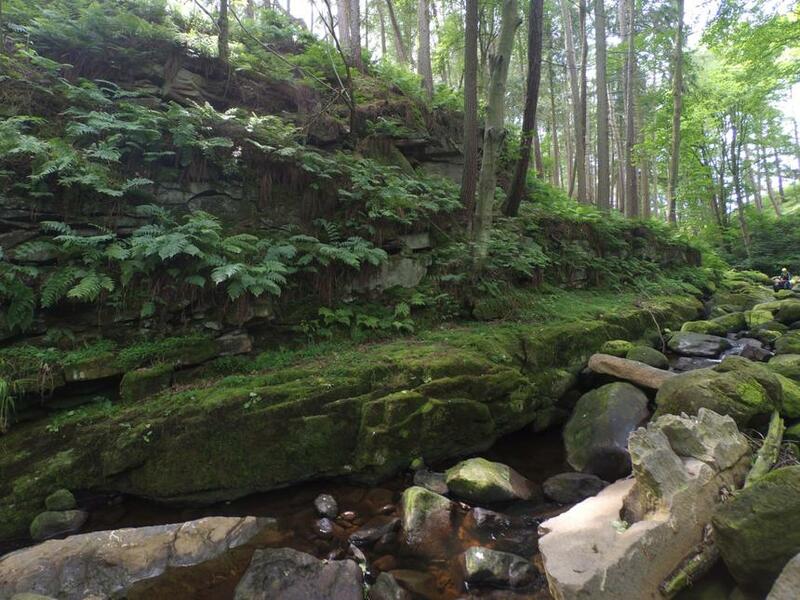 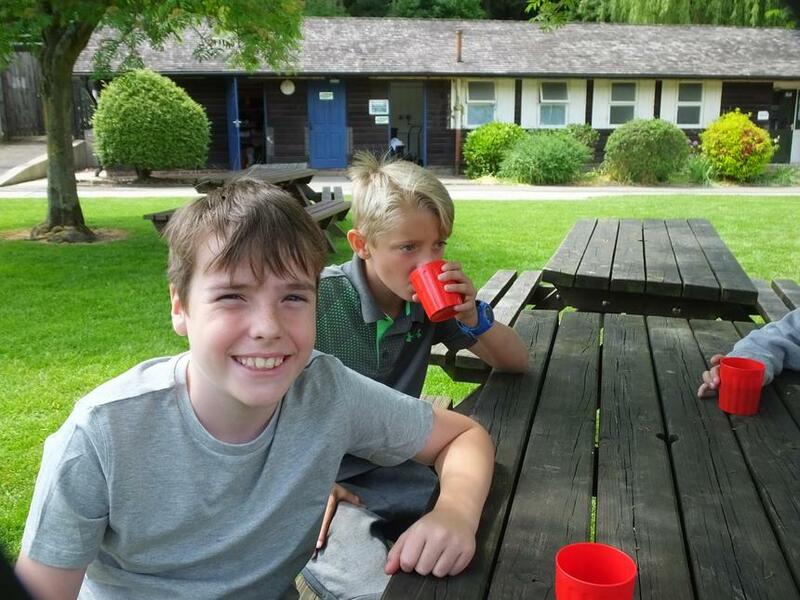 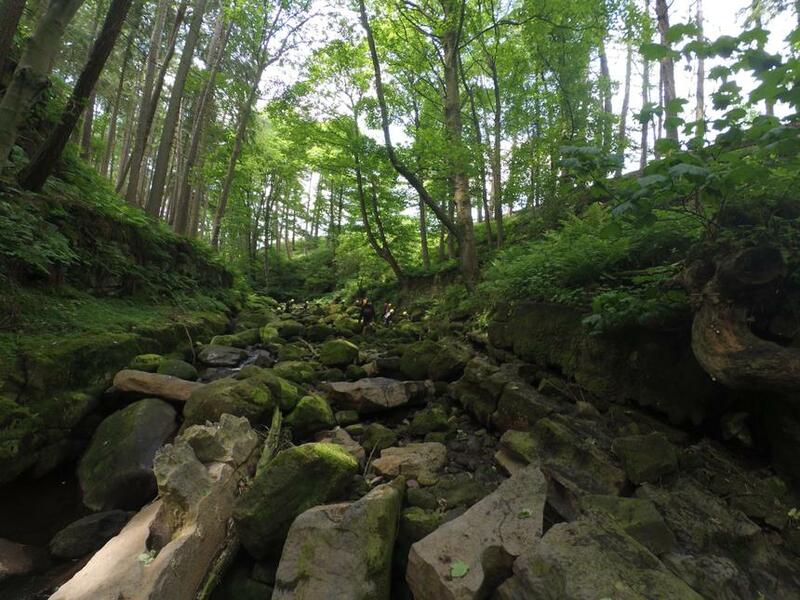 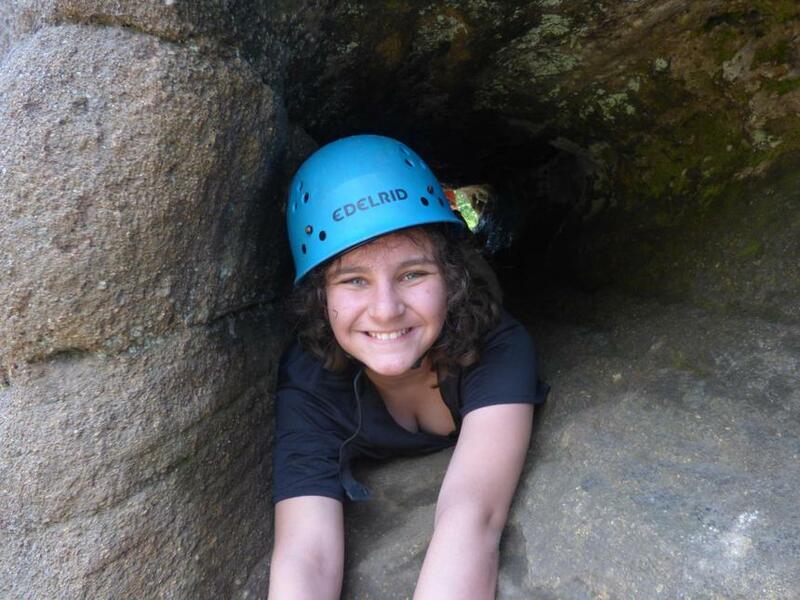 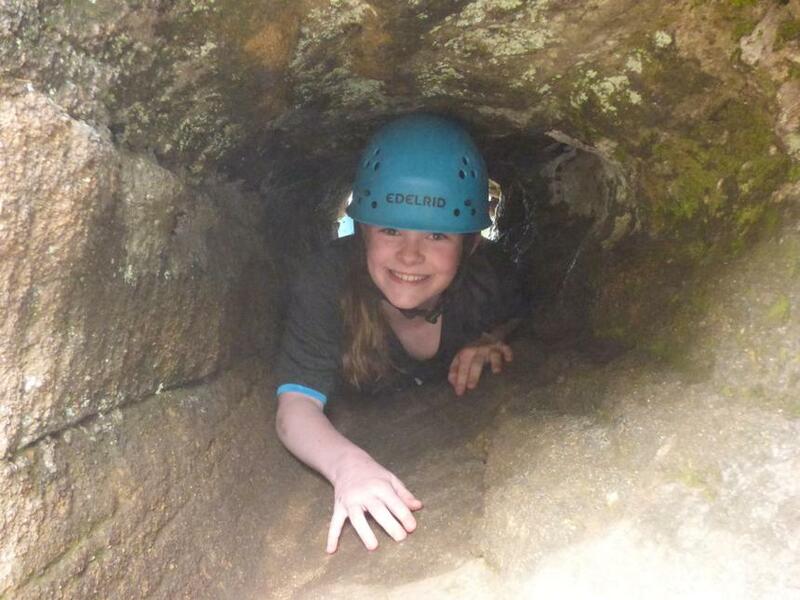 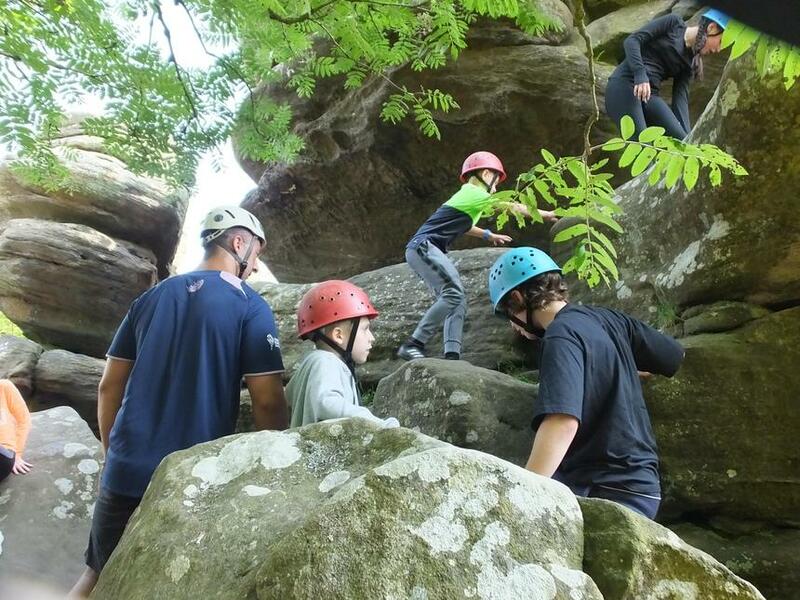 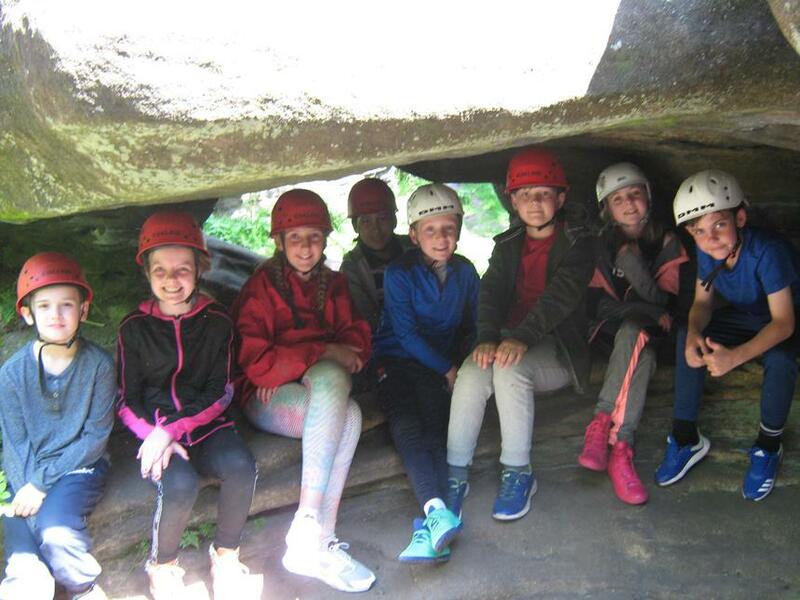 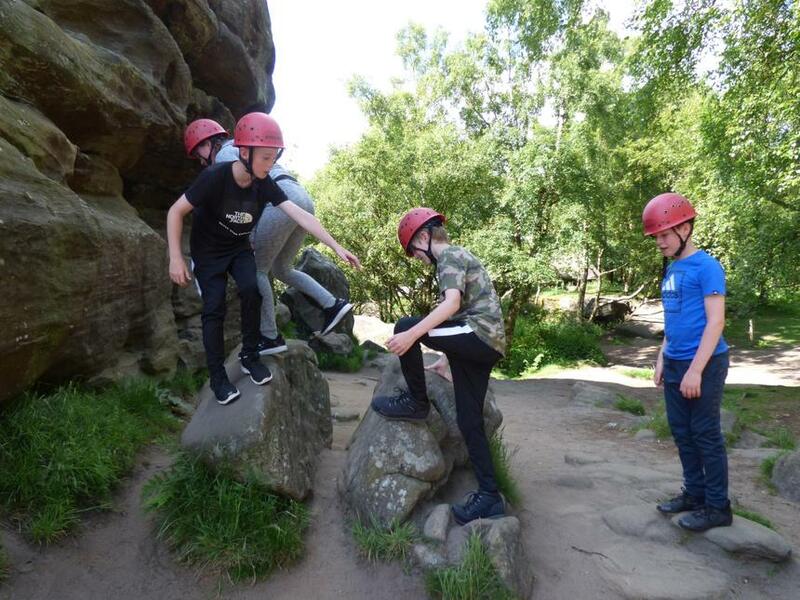 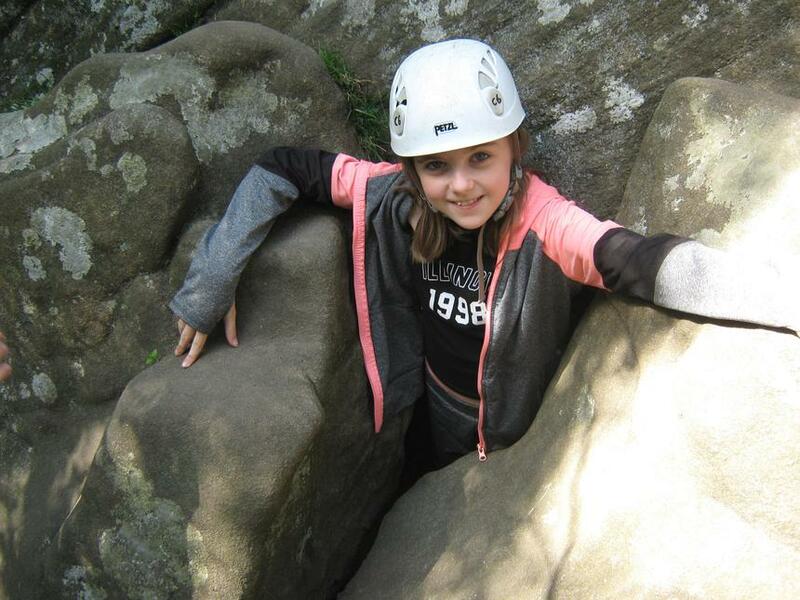 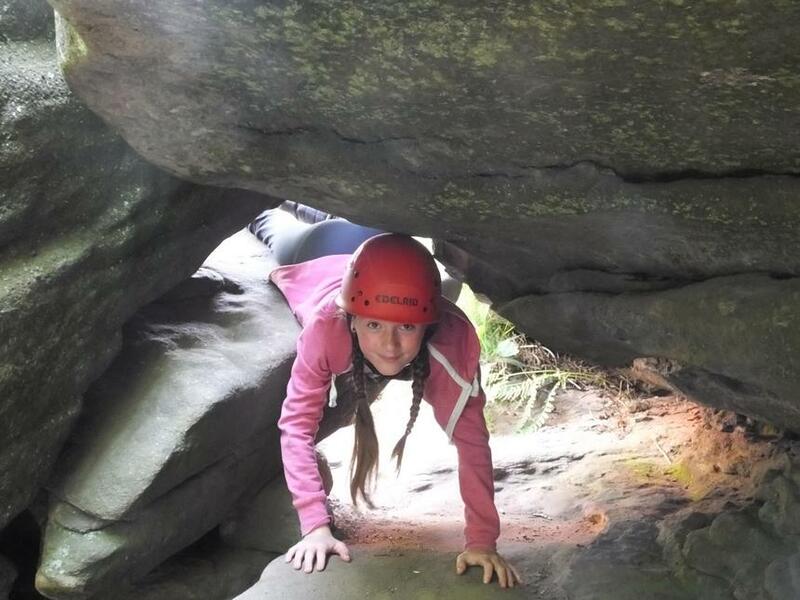 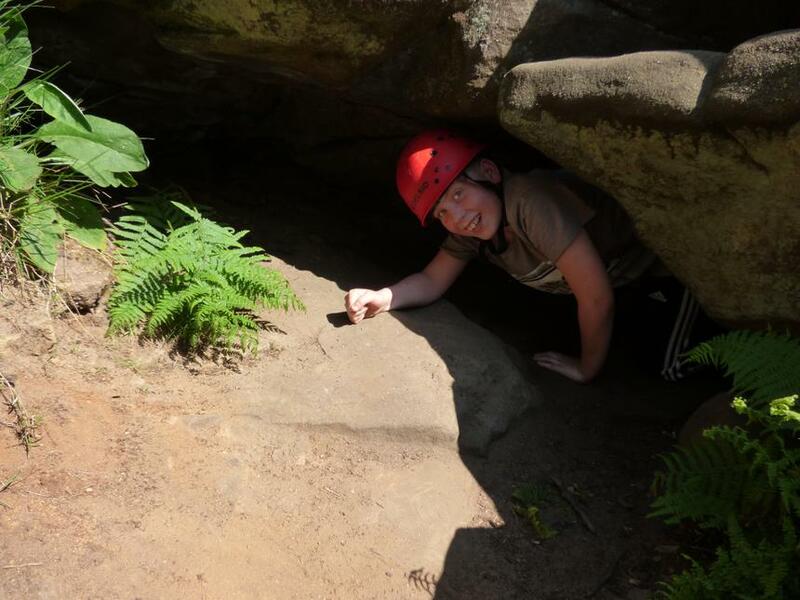 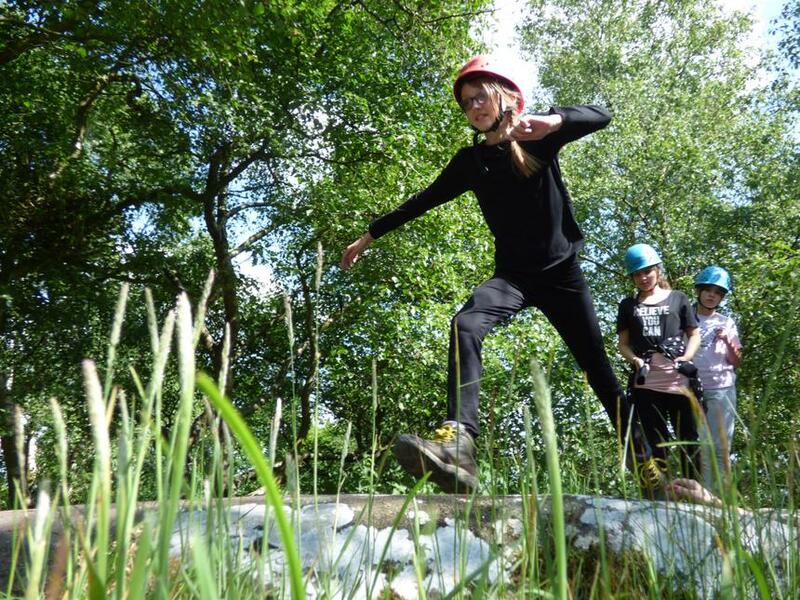 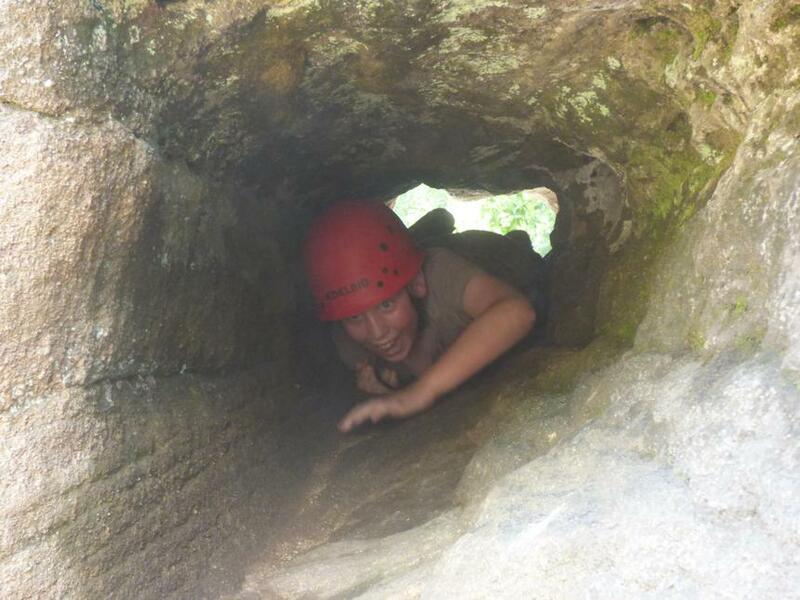 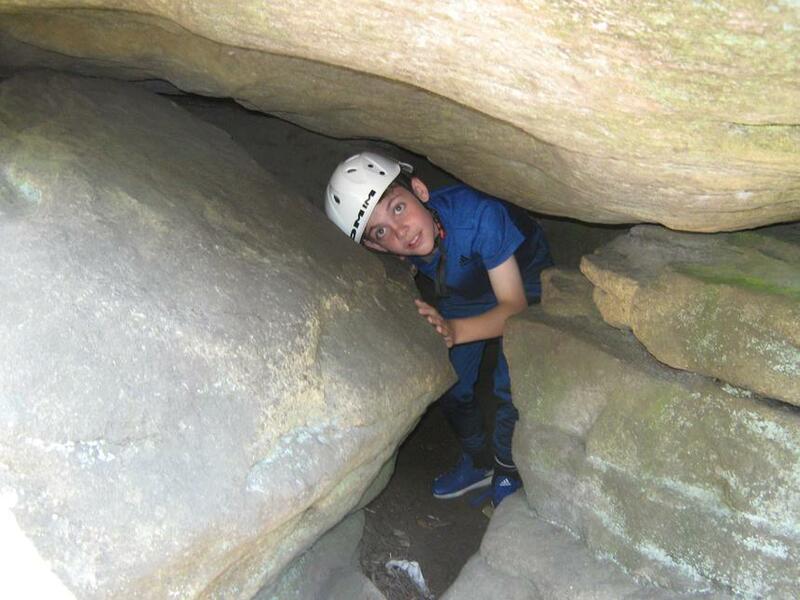 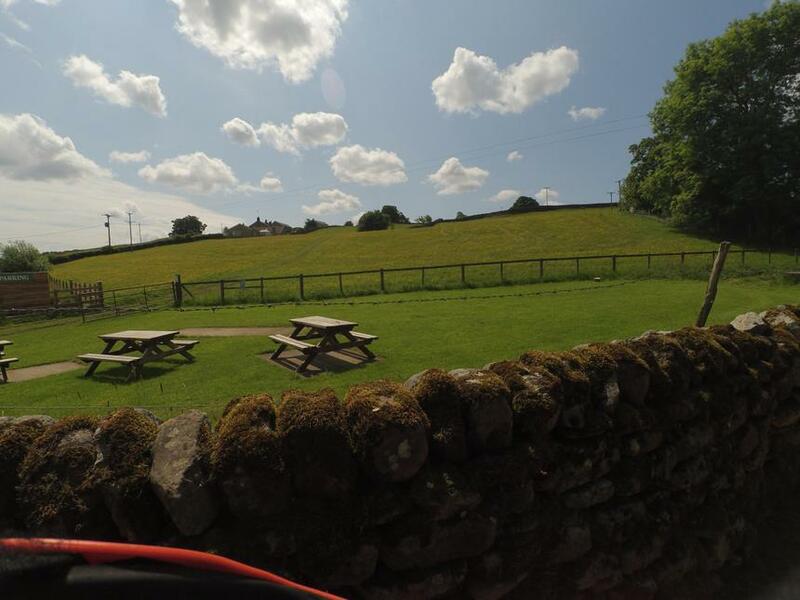 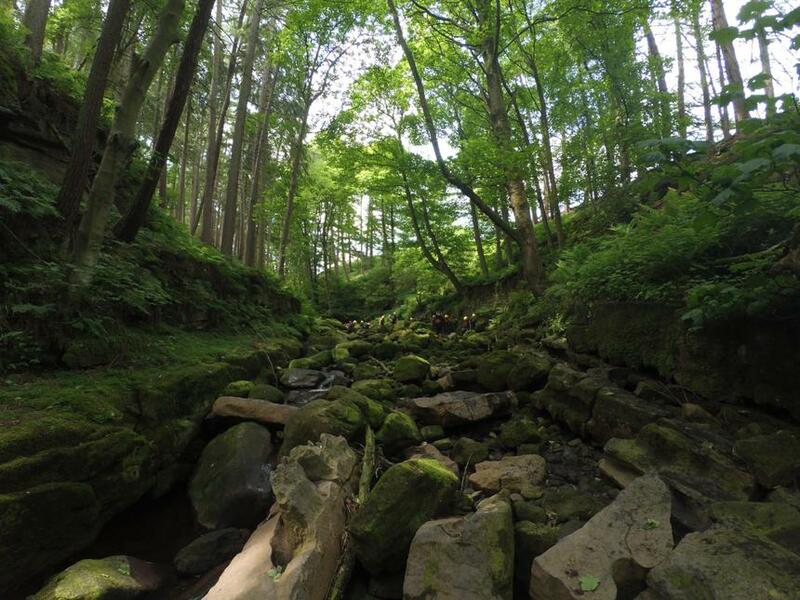 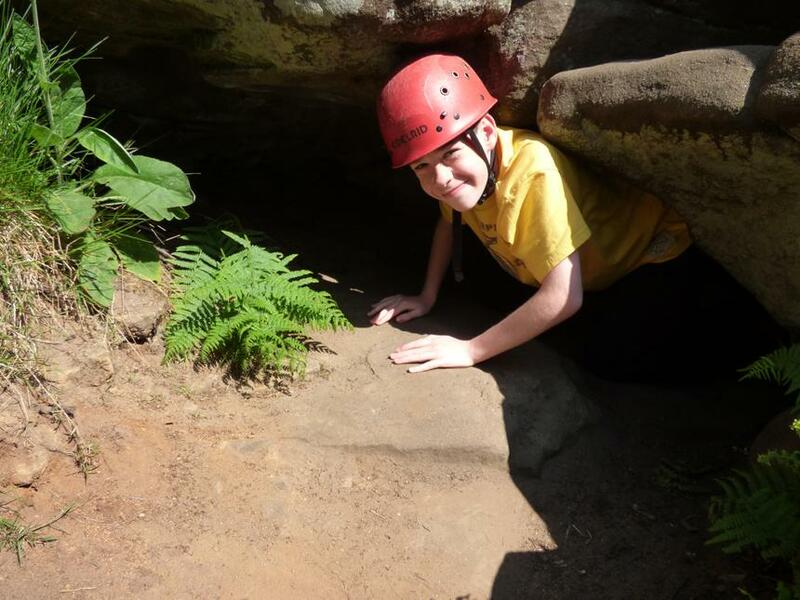 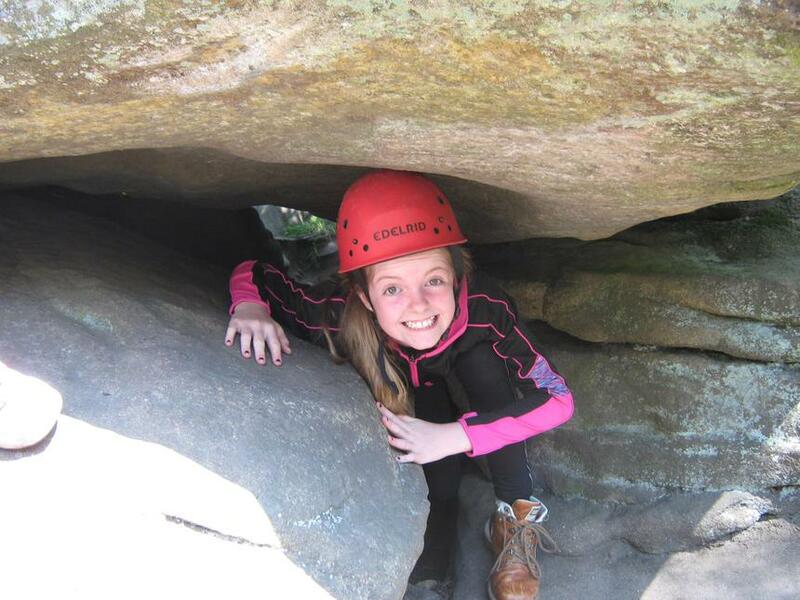 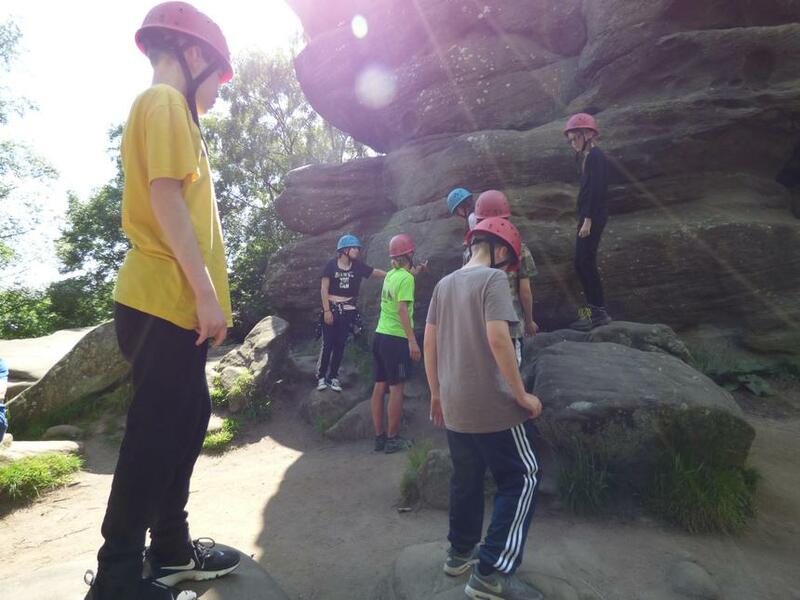 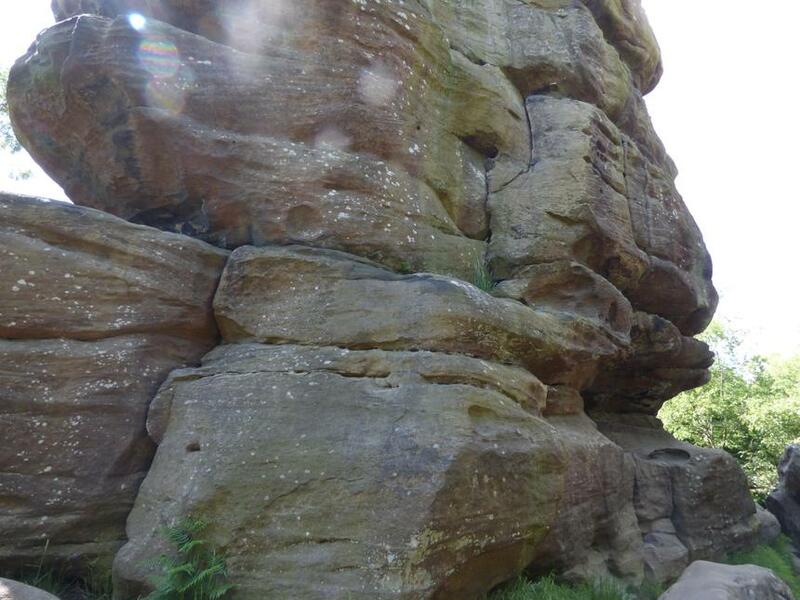 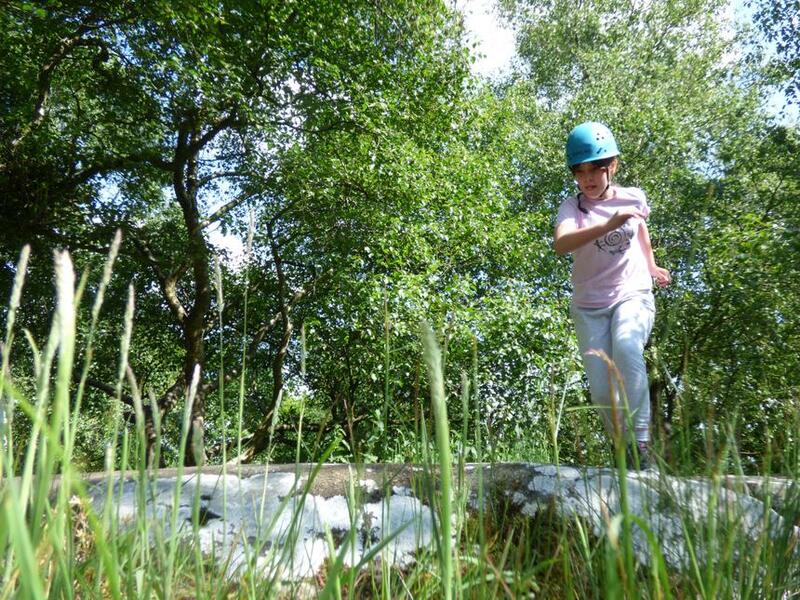 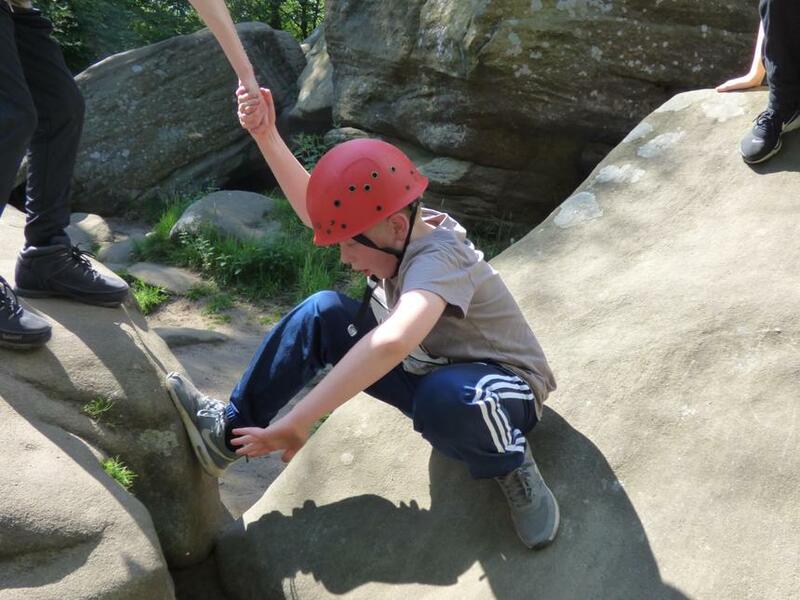 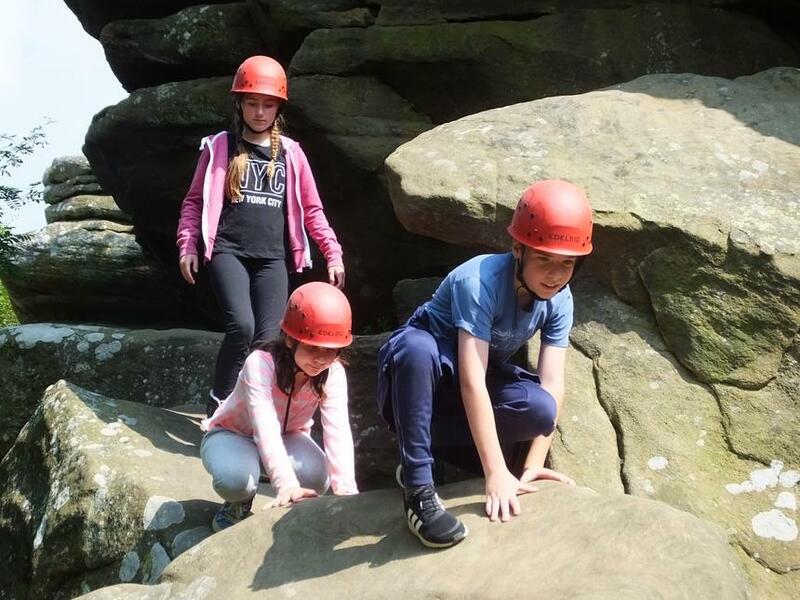 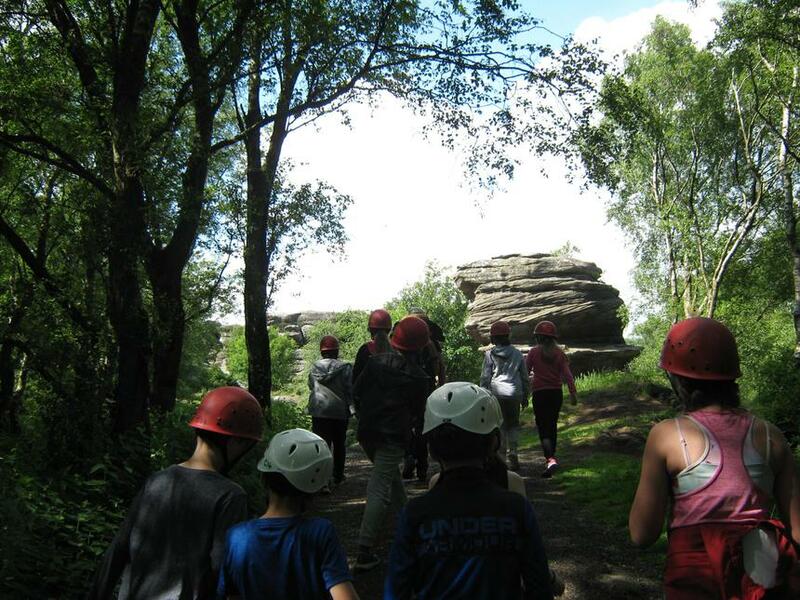 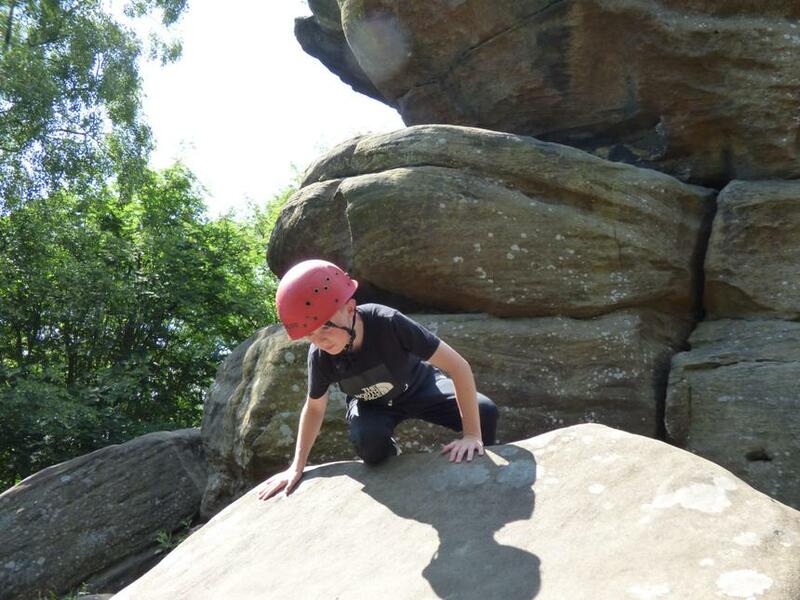 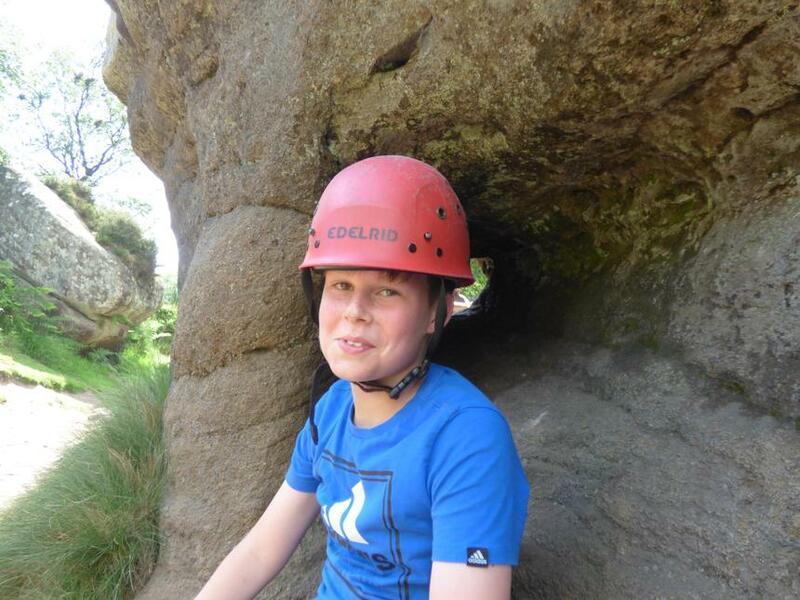 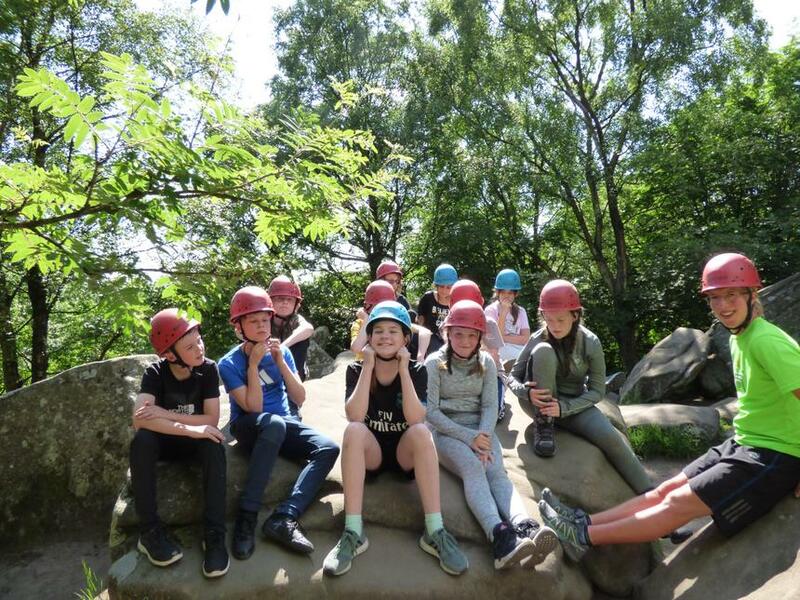 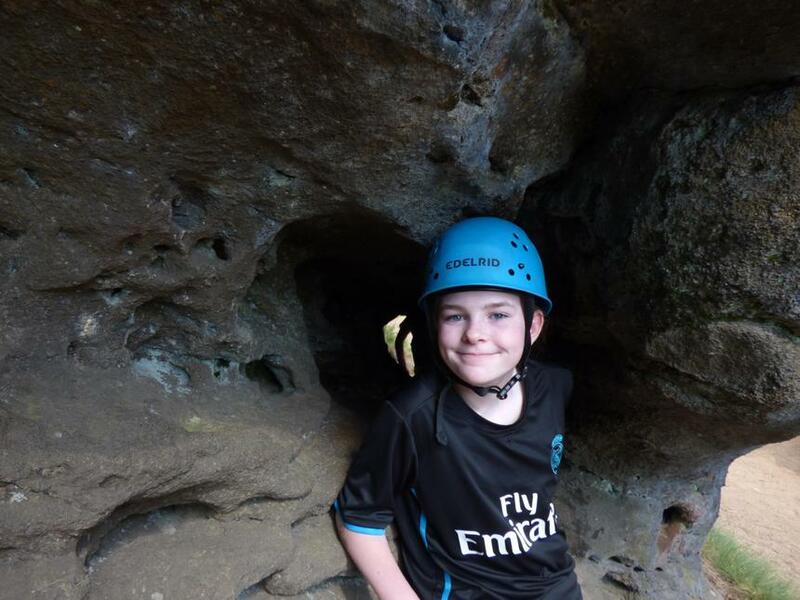 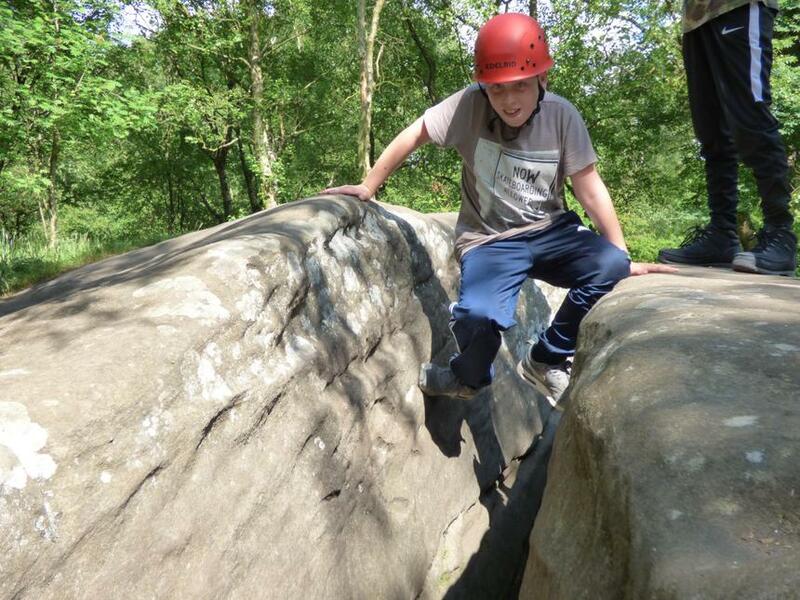 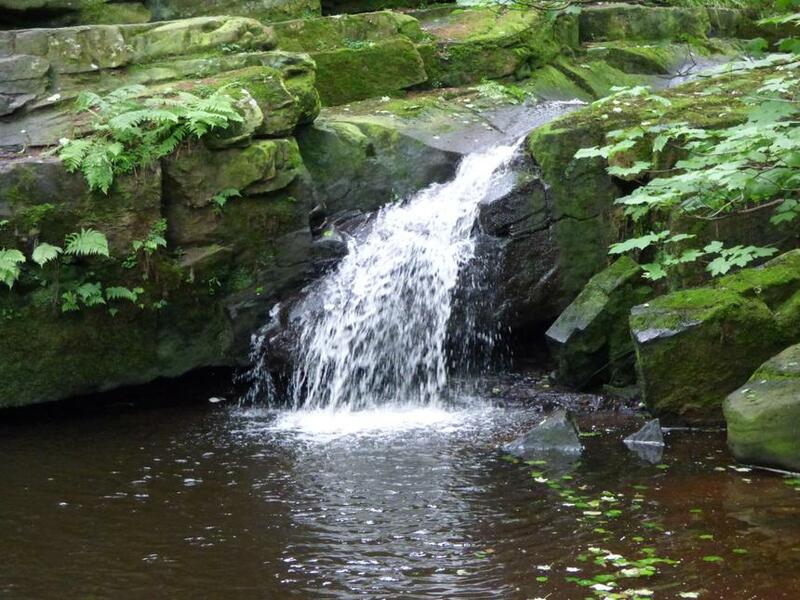 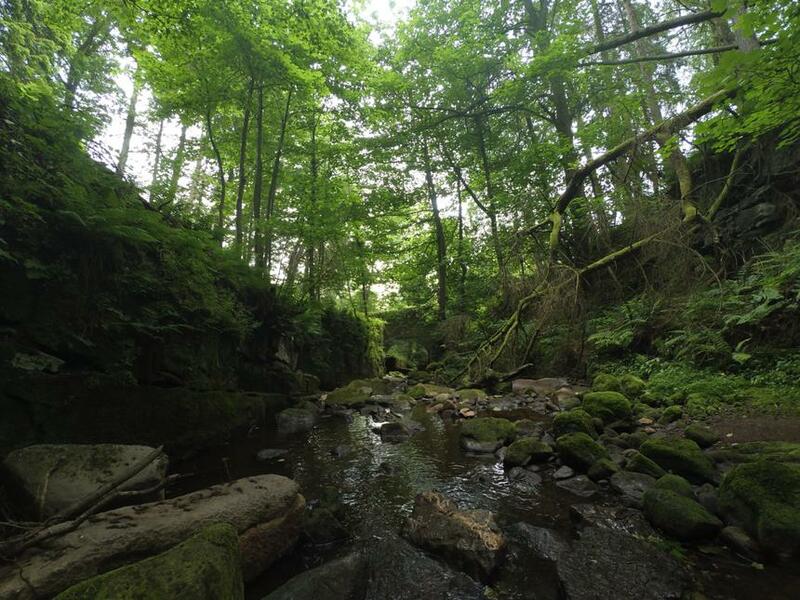 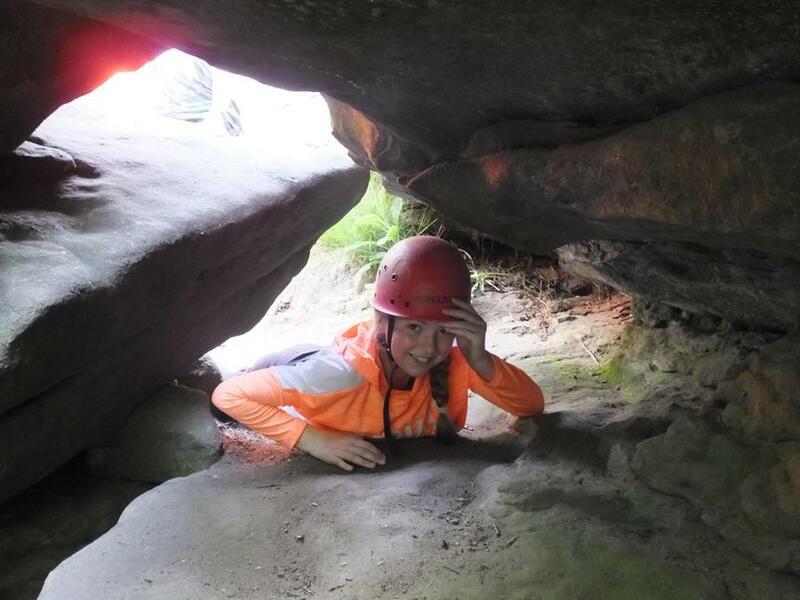 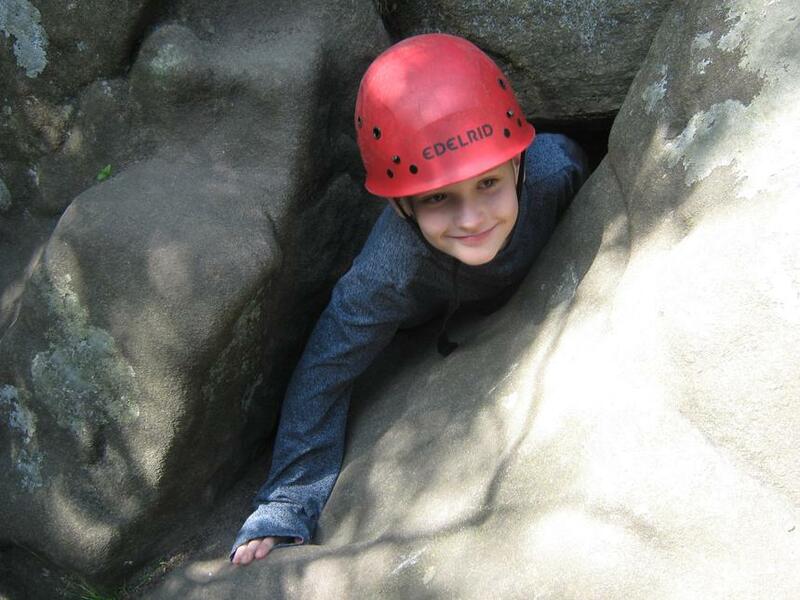 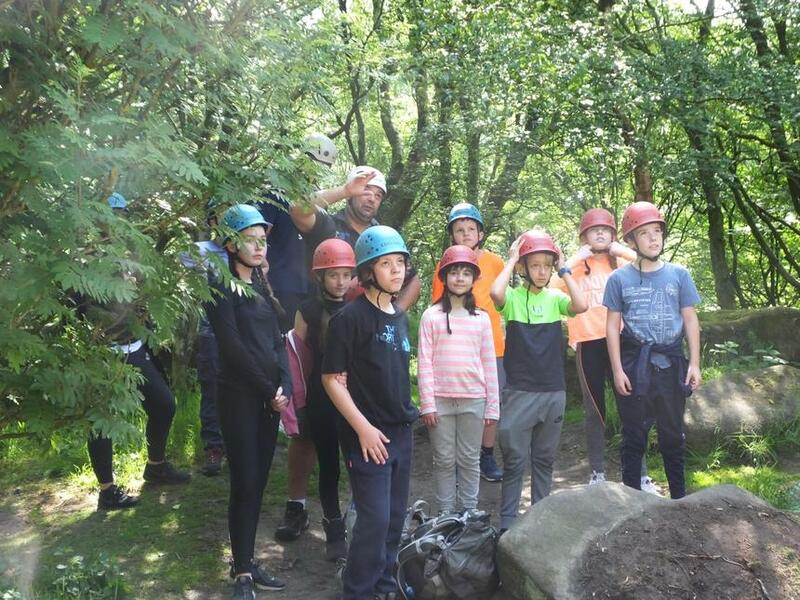 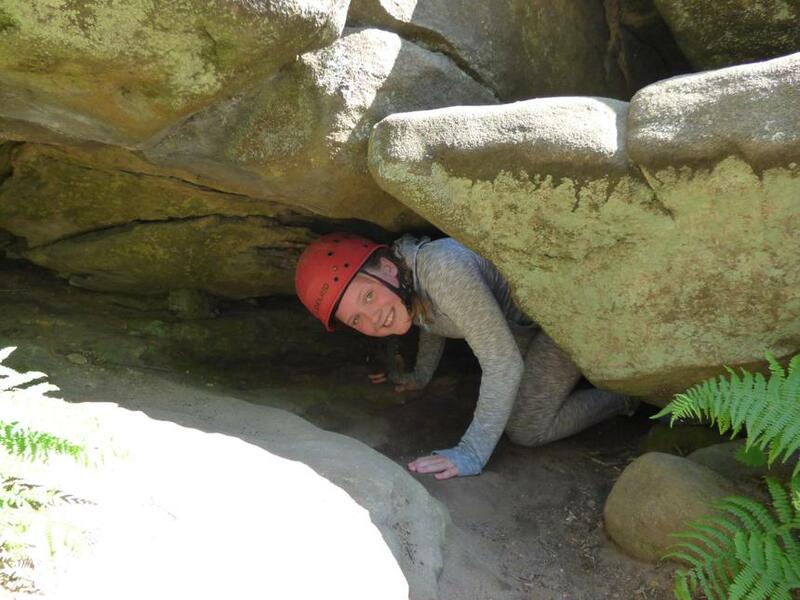 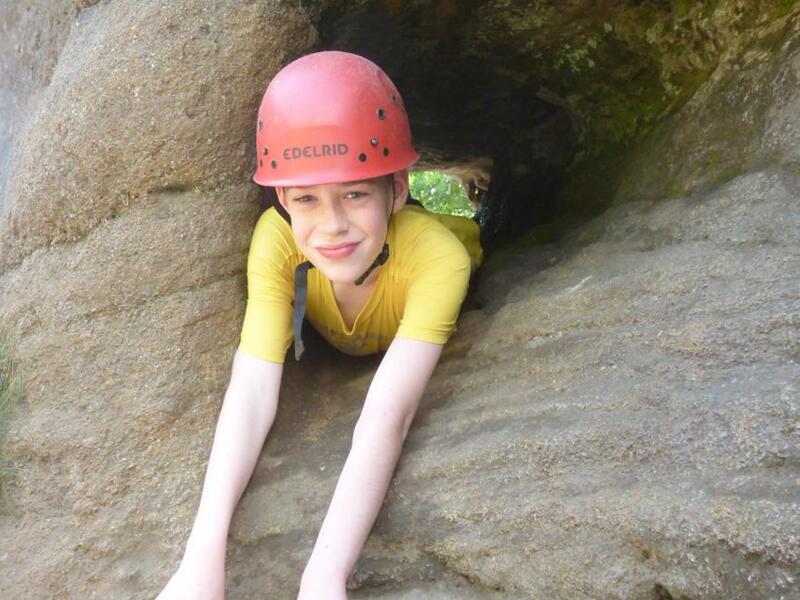 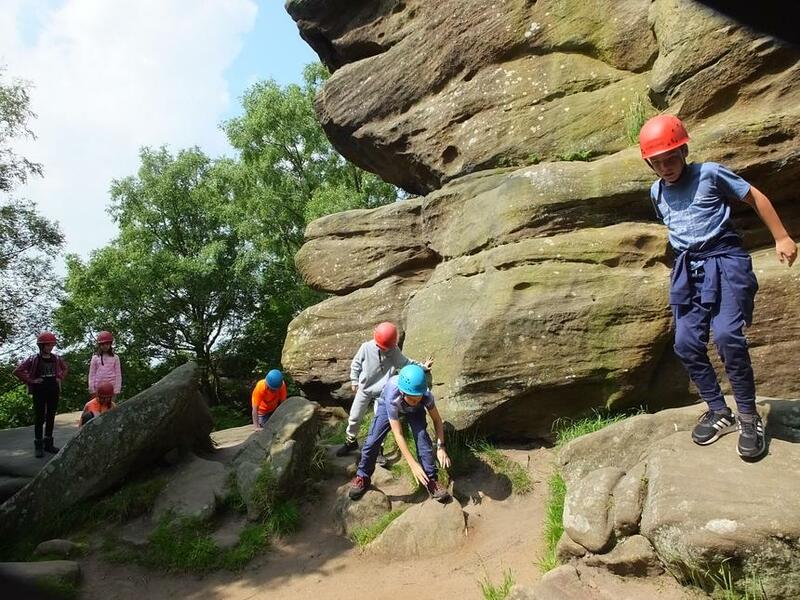 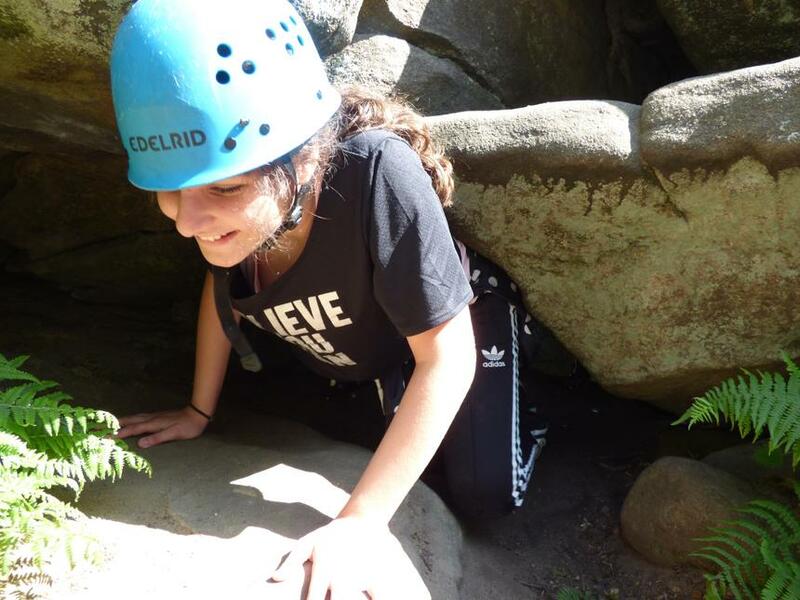 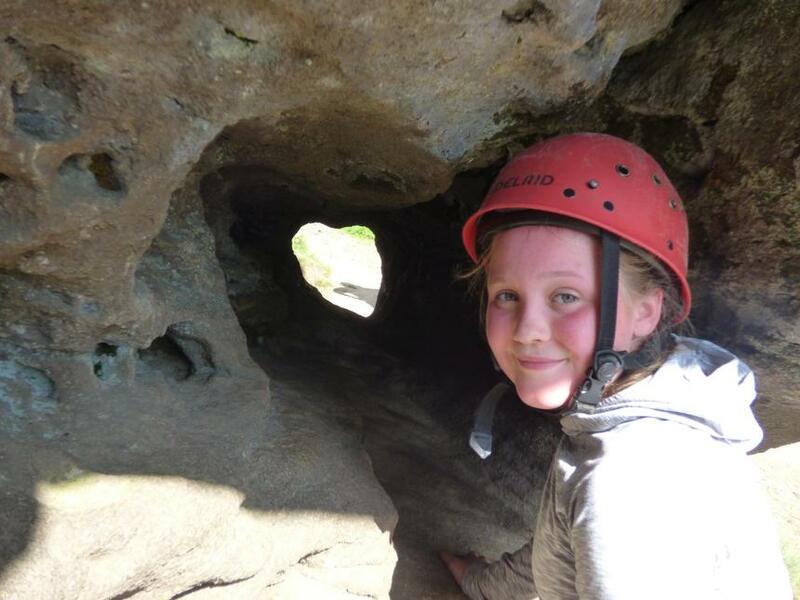 Both groups participated in outdoor and adventurous activities during the day – Ghyll walking and exploring Brimham Rocks. 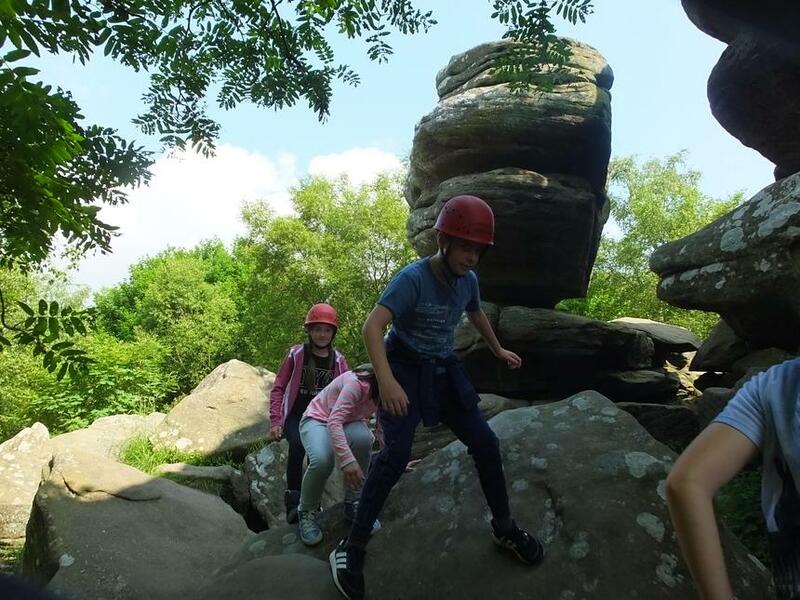 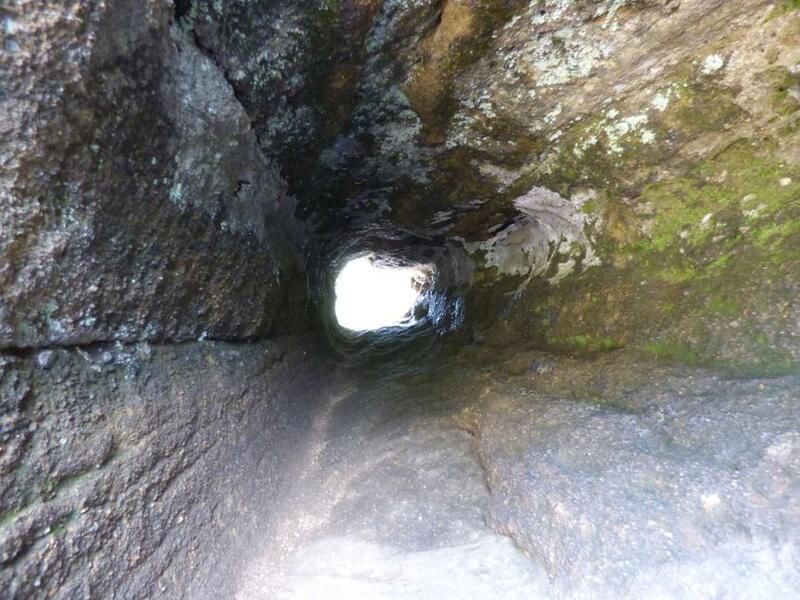 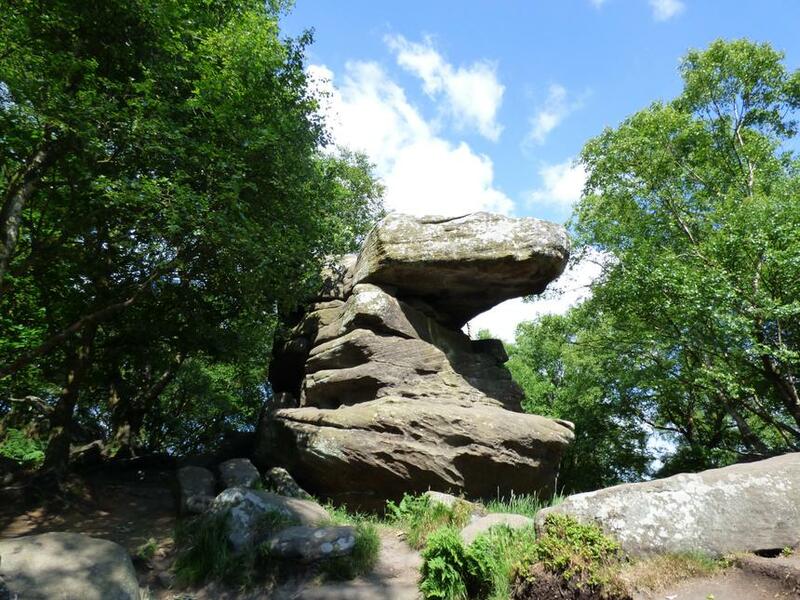 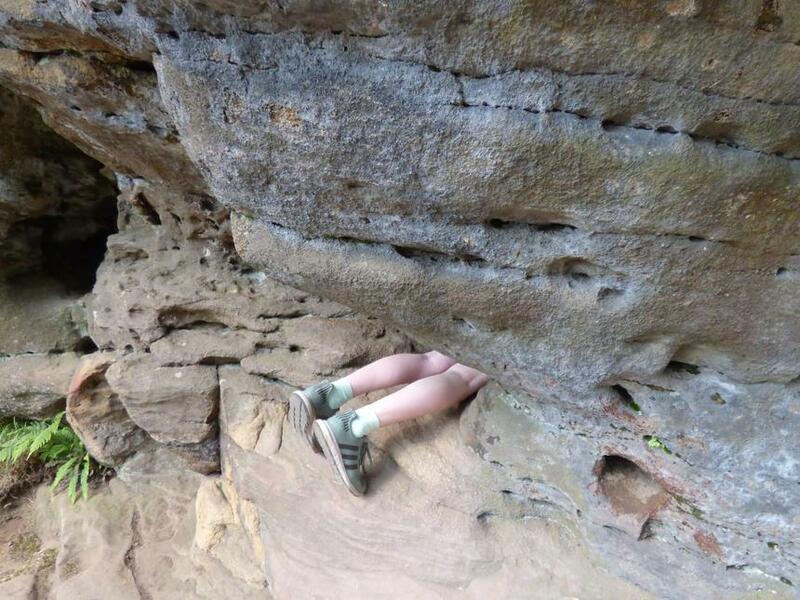 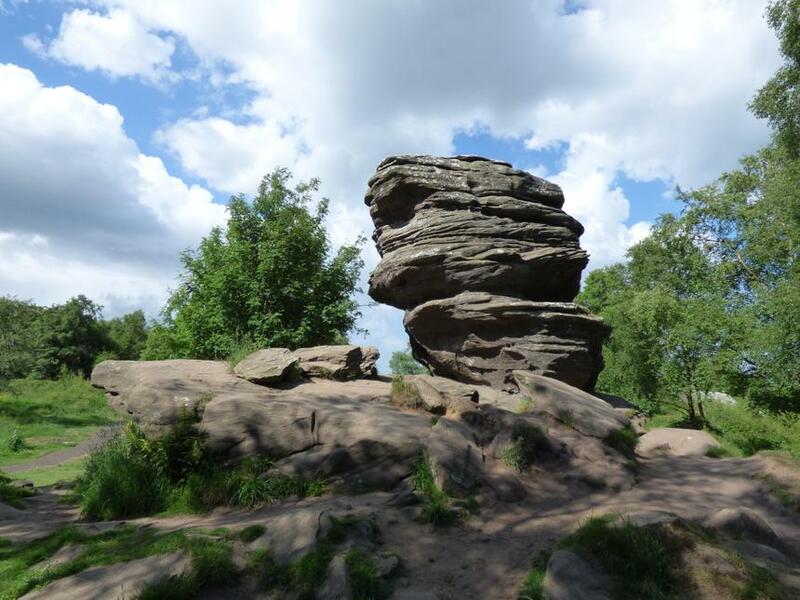 Brimham Rocks, owned by the National Trust, consists of a number of rock formations which our children explored through climbing, running, sliding, scrambling, leaping, crawling, ducking and jumping. 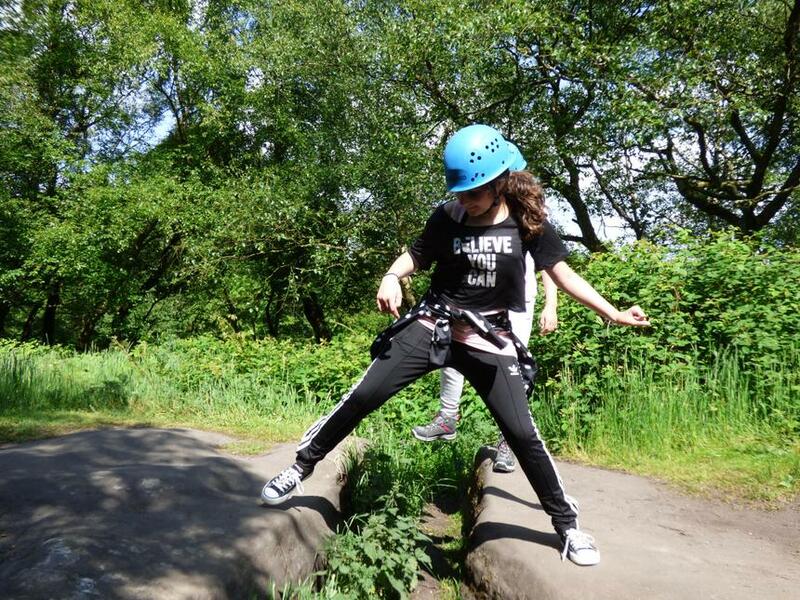 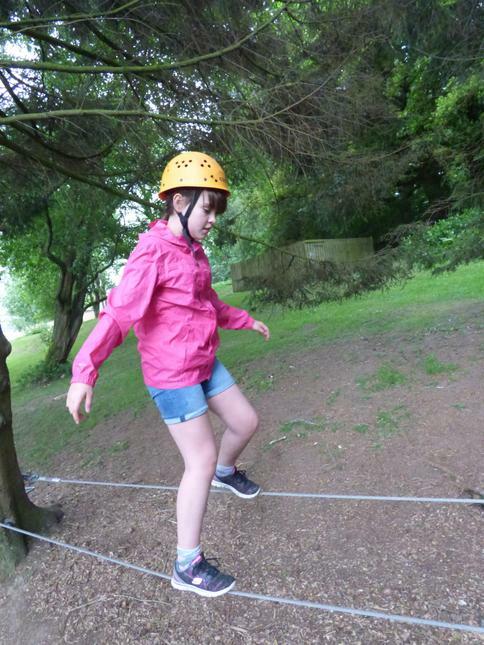 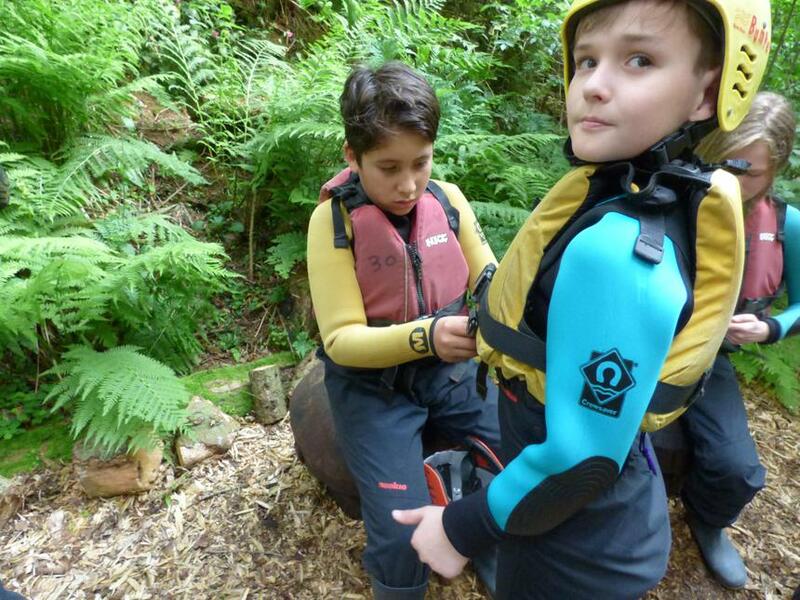 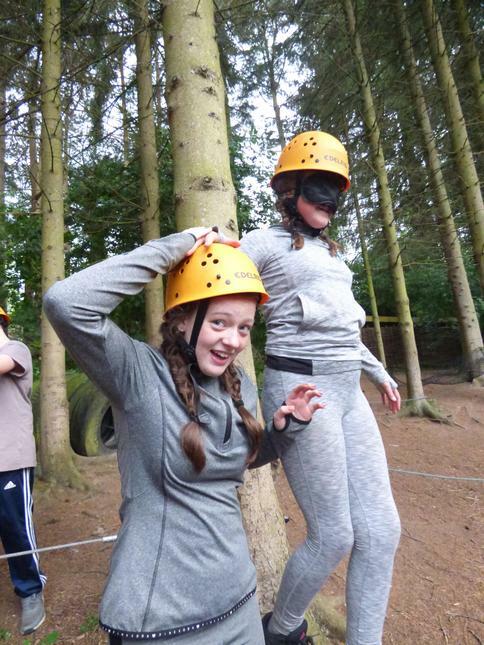 They all had fabulous fun as they went out of their comfort zone on several occasions. 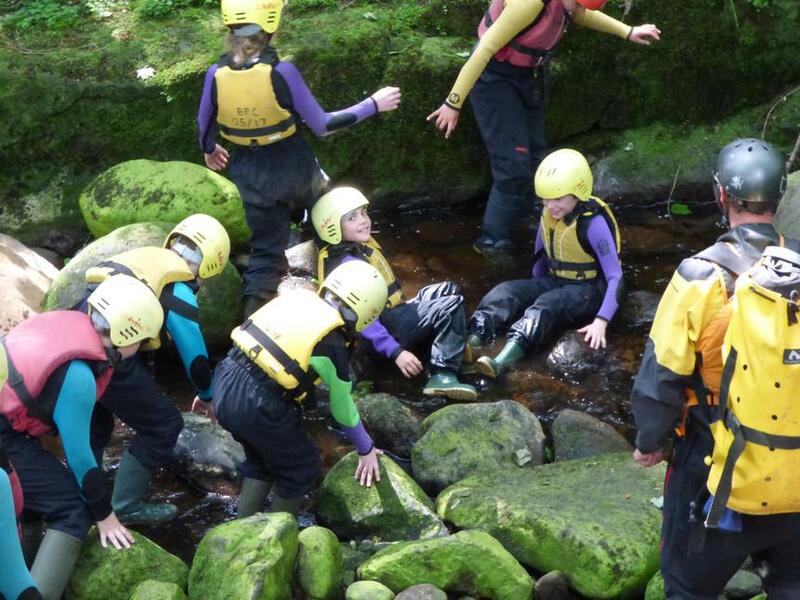 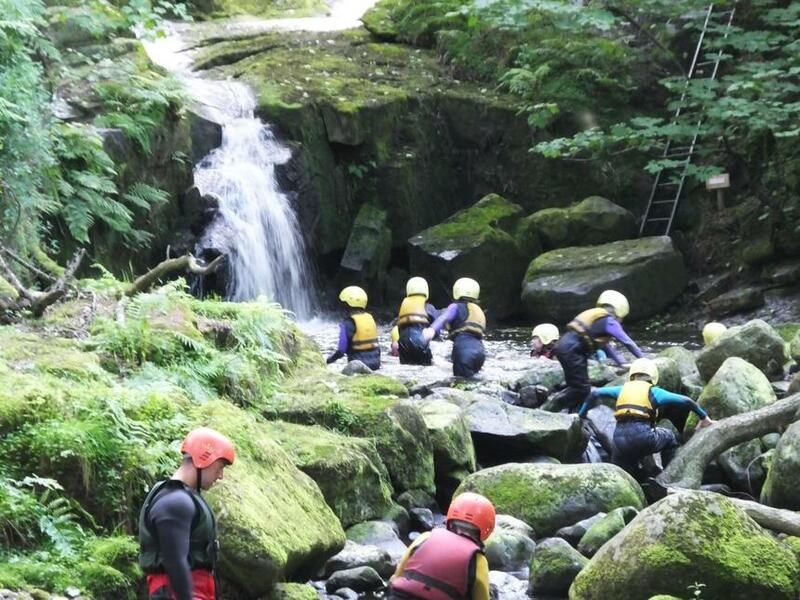 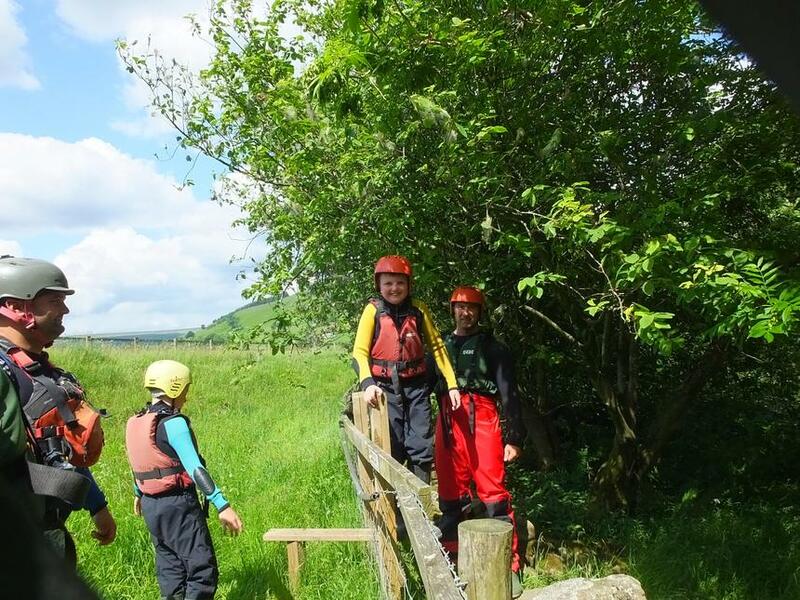 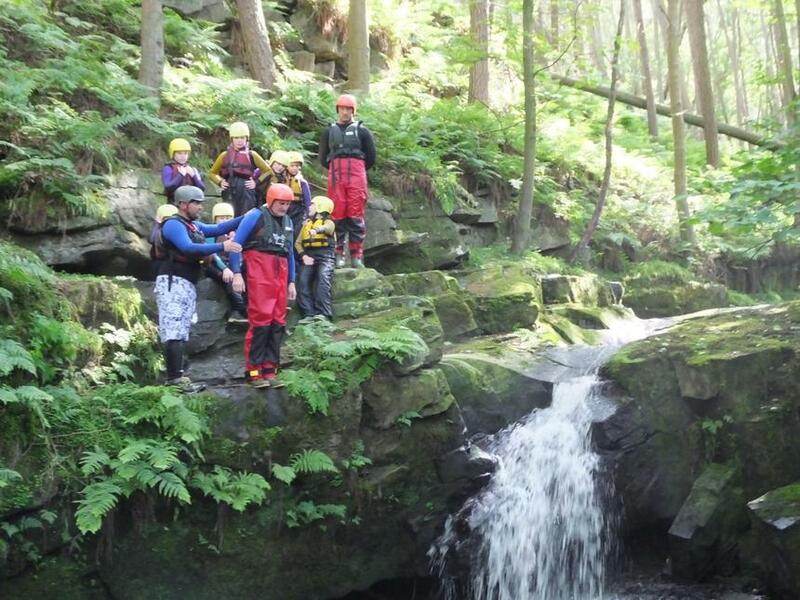 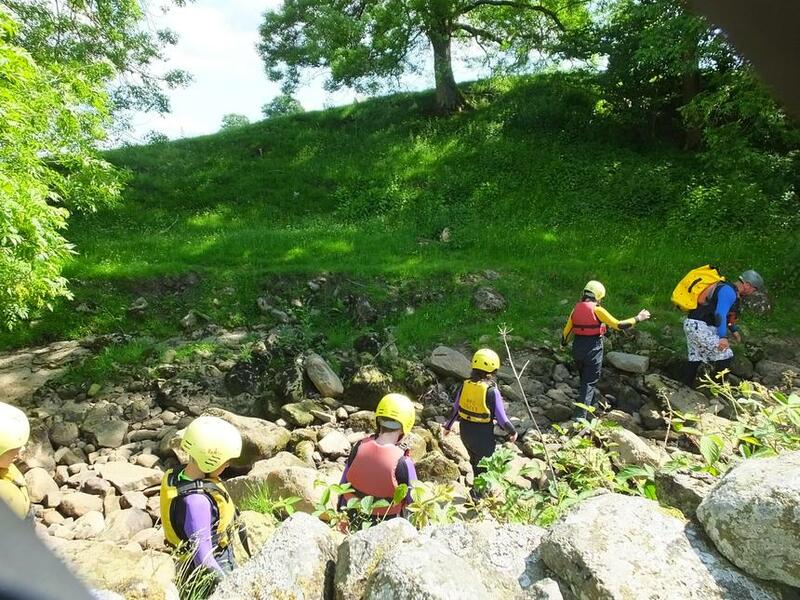 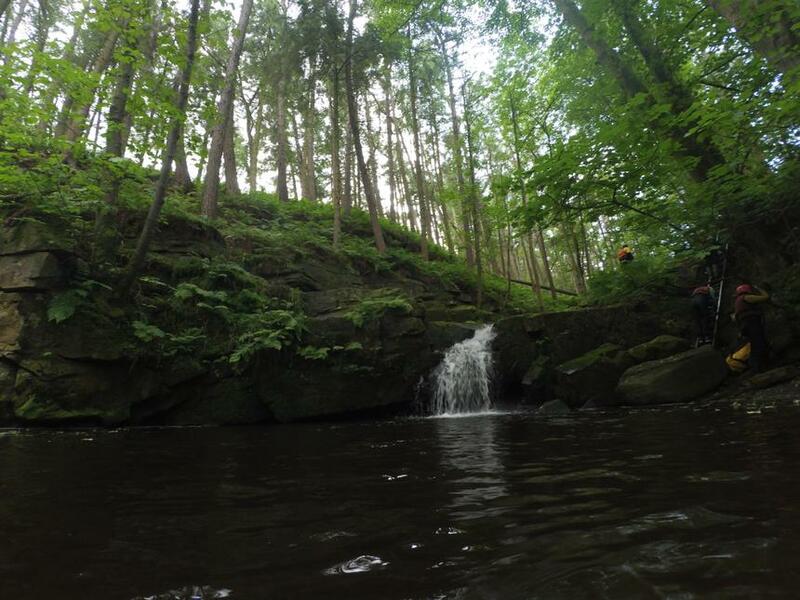 The Ghyll walking involved going up a stream and having fun while splashing , wading , sliding and jumping. 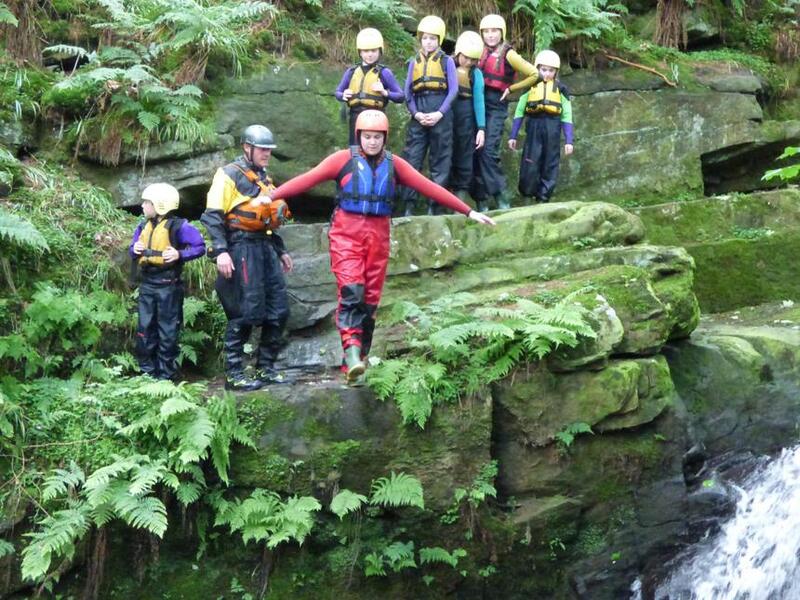 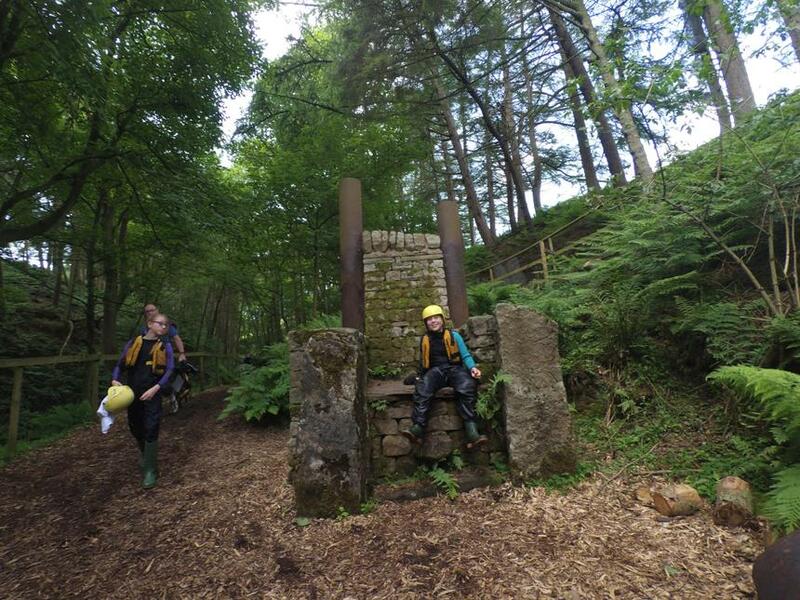 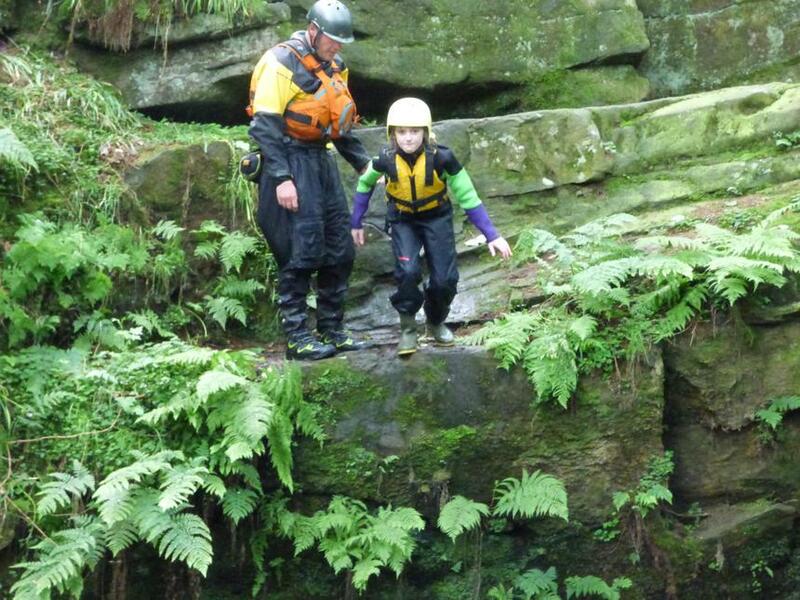 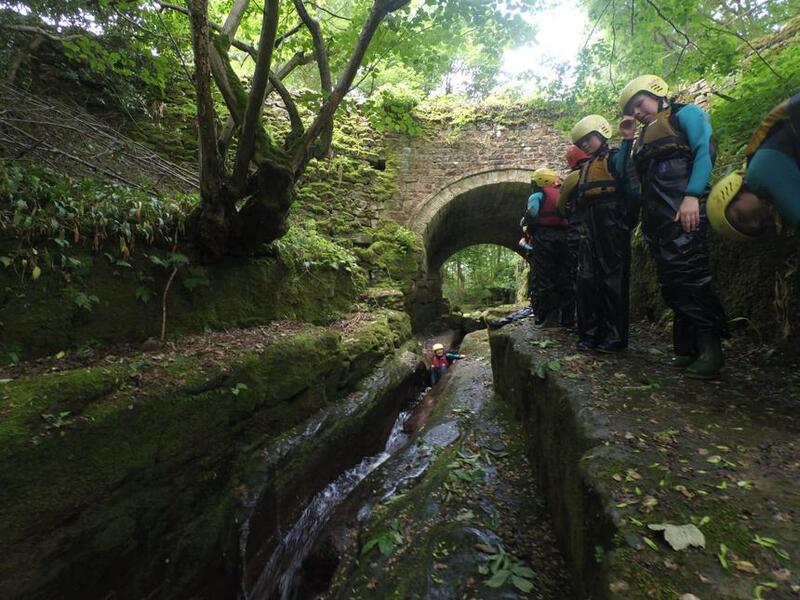 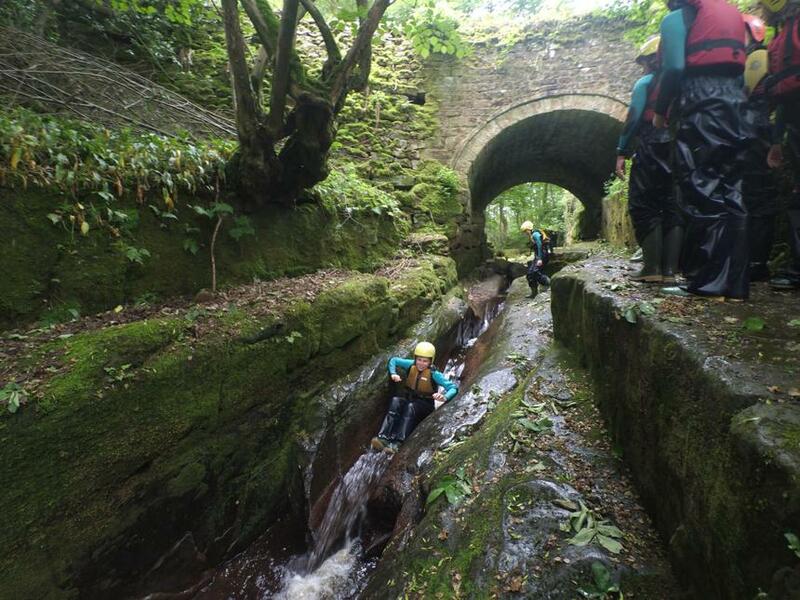 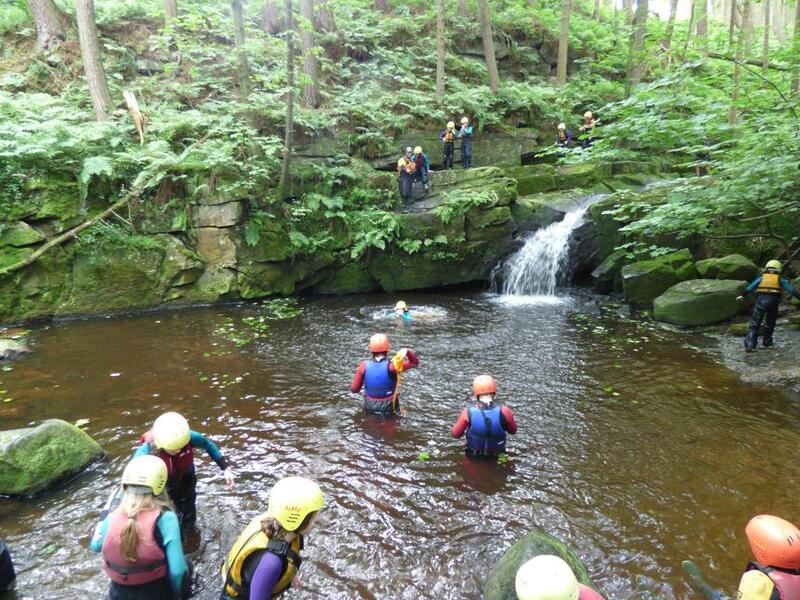 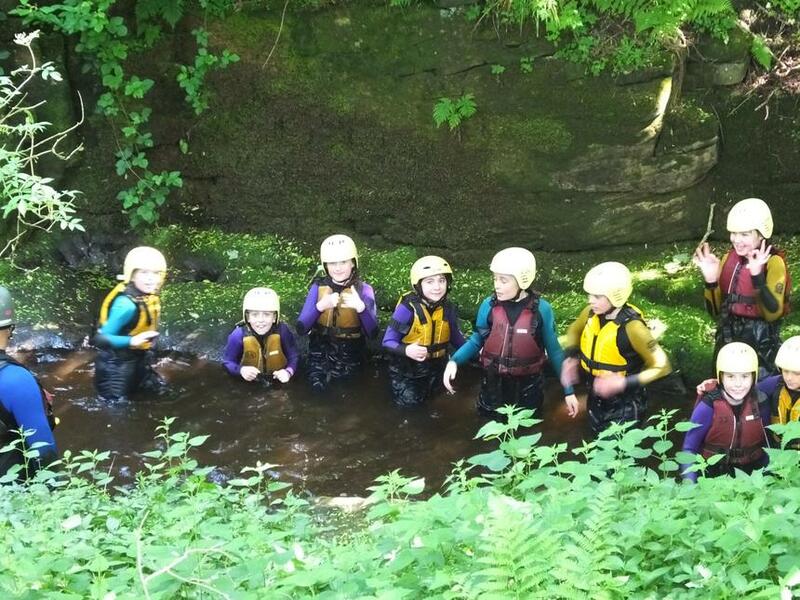 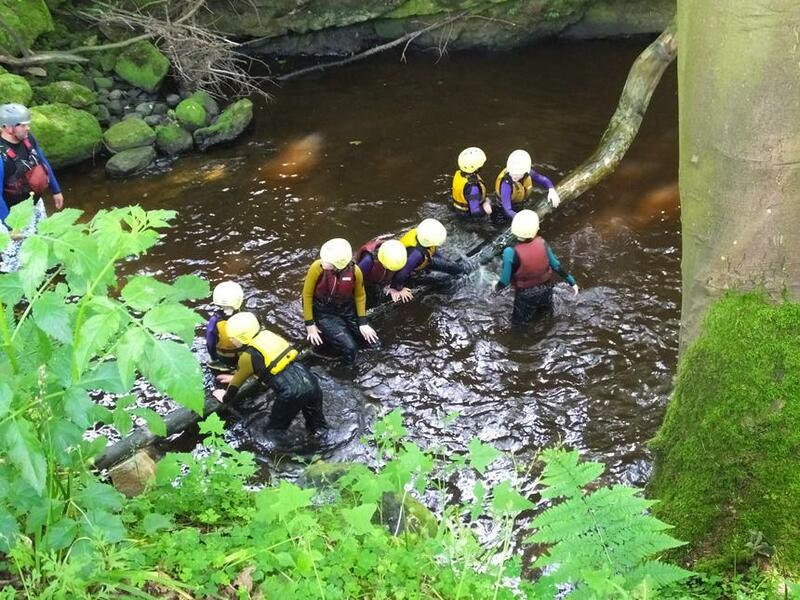 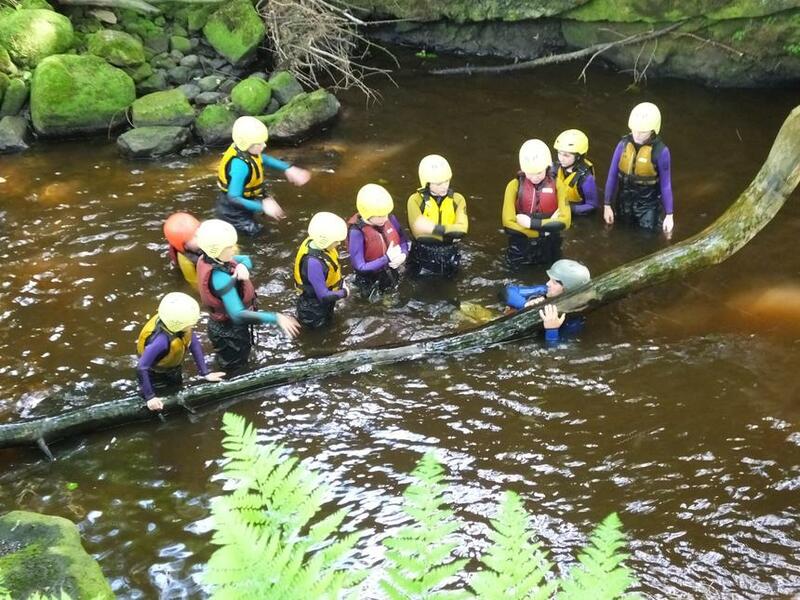 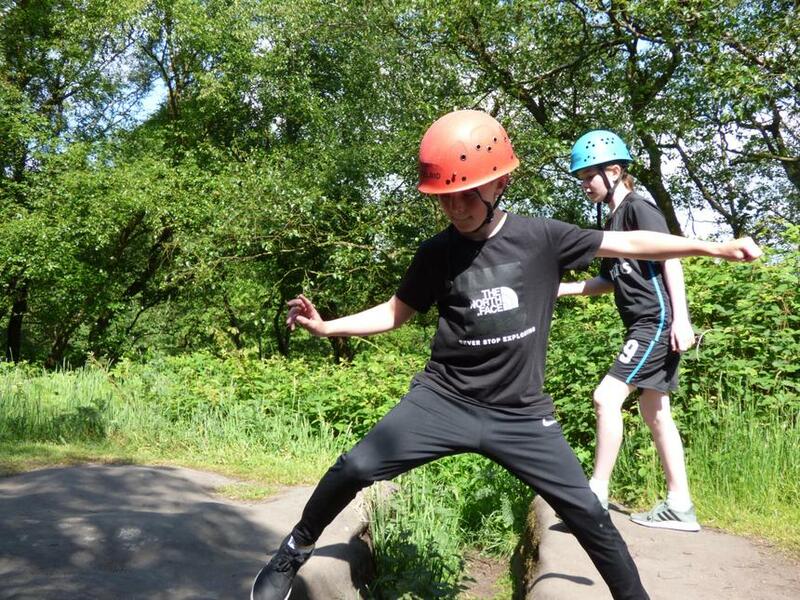 The final challenge was to jump from a height into a deep pool – the helmets, wetsuits (not a pretty sight on the staff!) 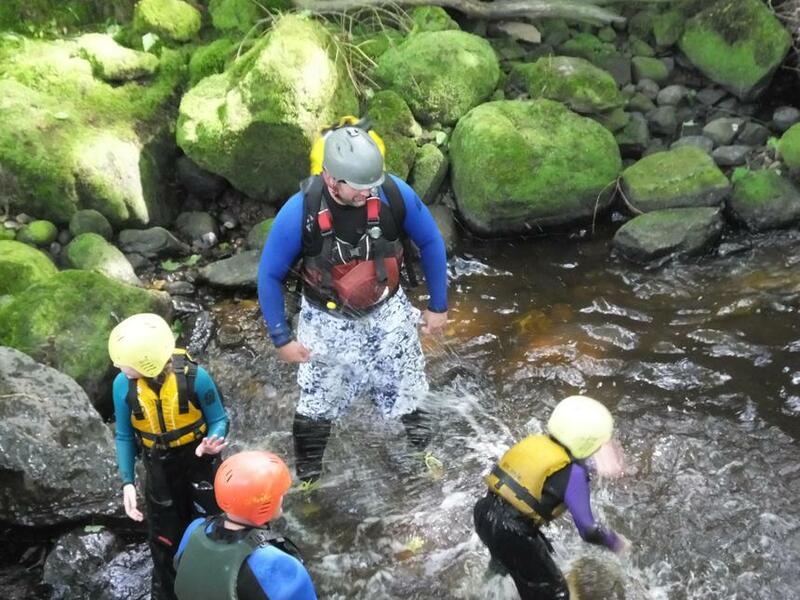 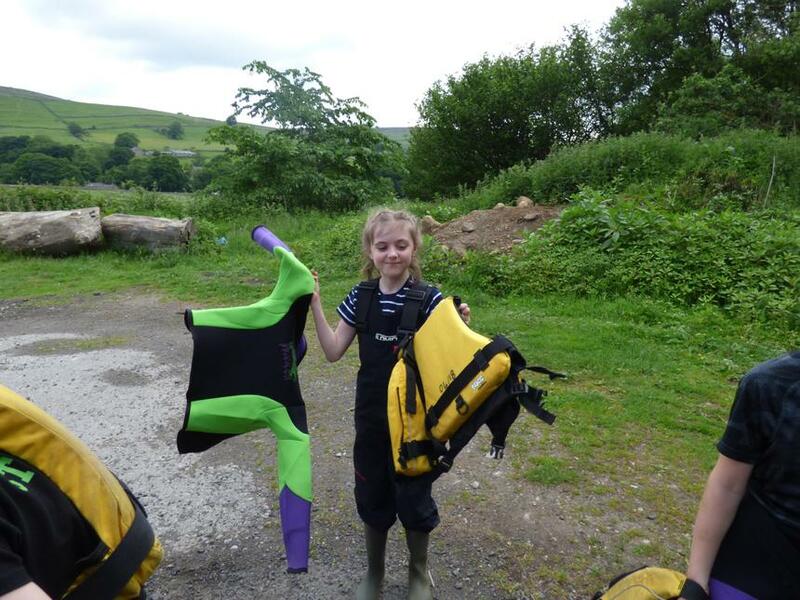 wellies and buoyancy aides made this a very enjoyable experience for all . 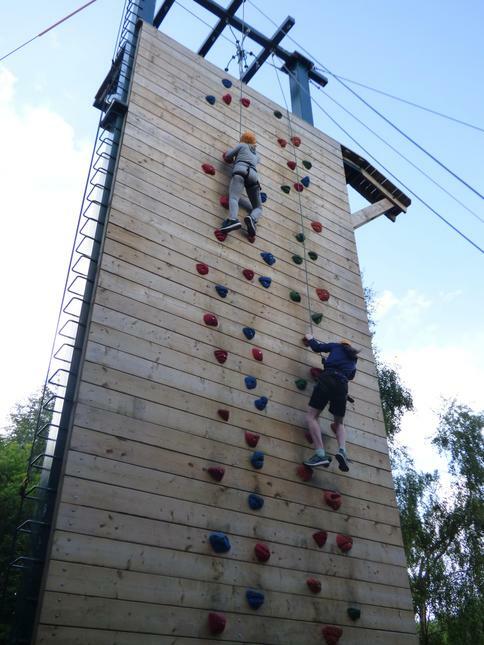 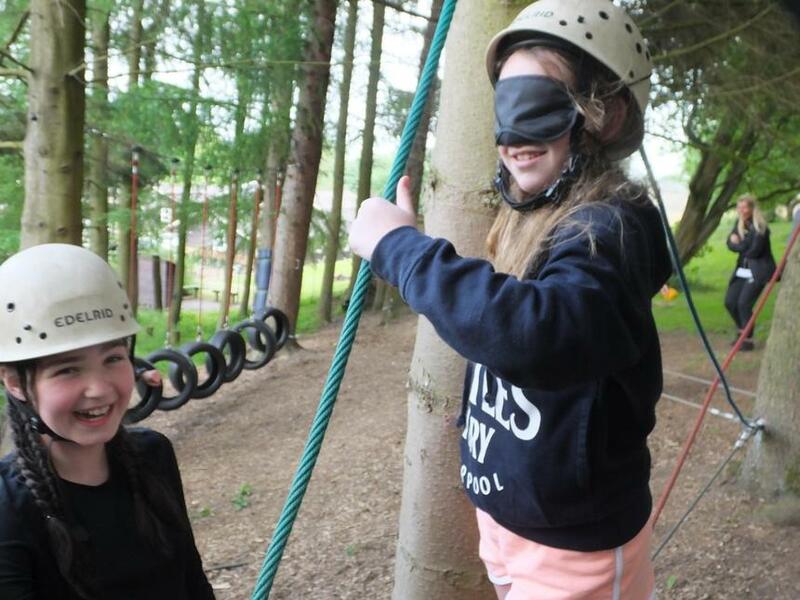 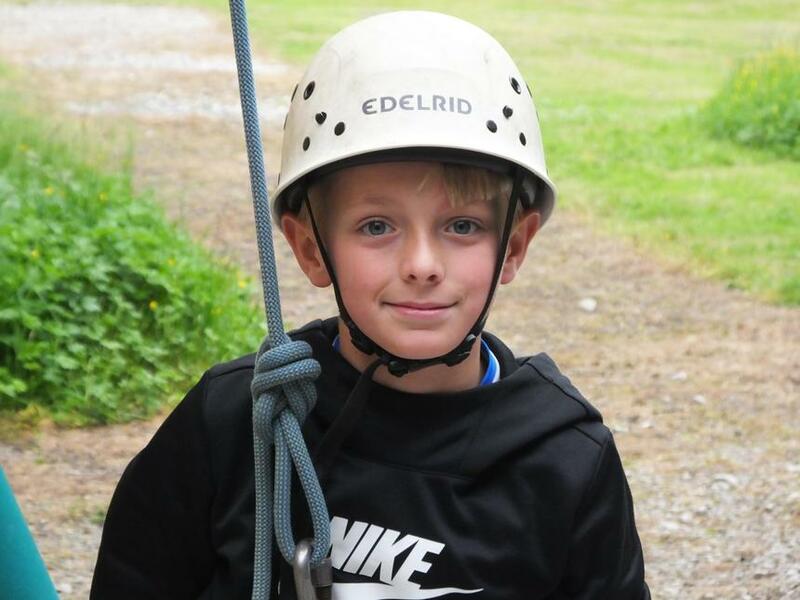 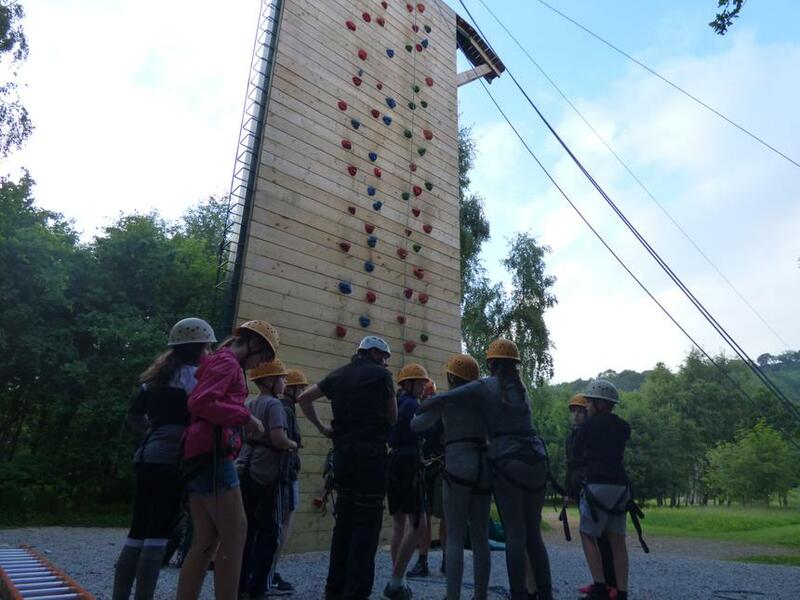 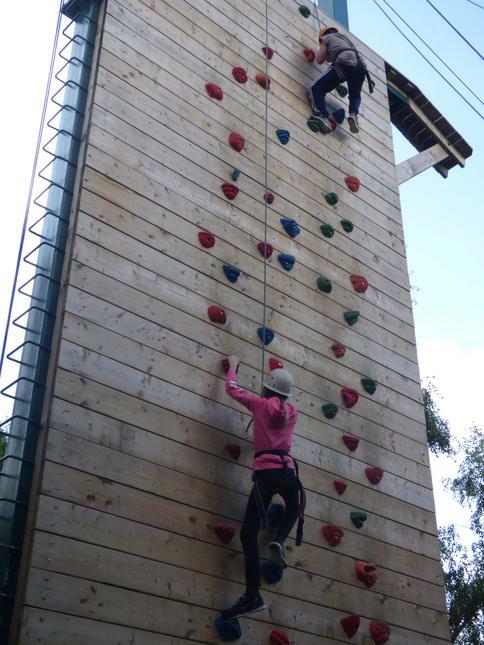 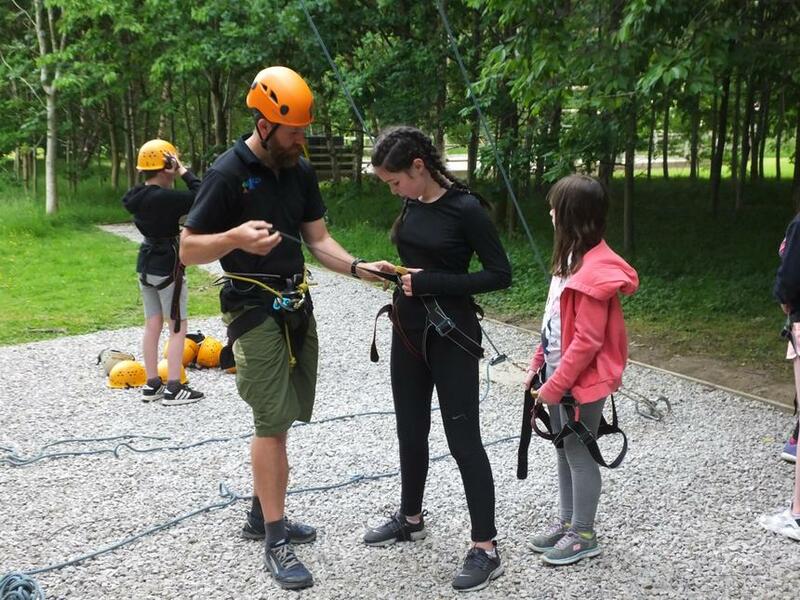 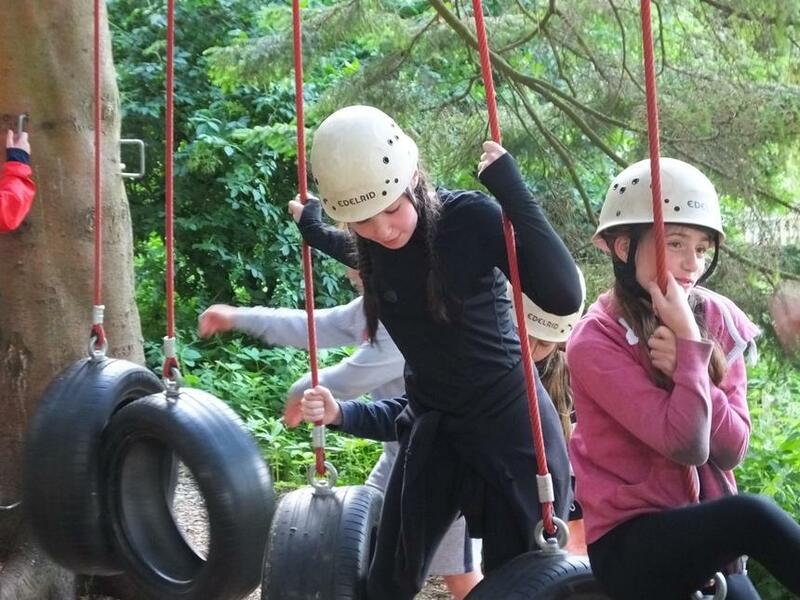 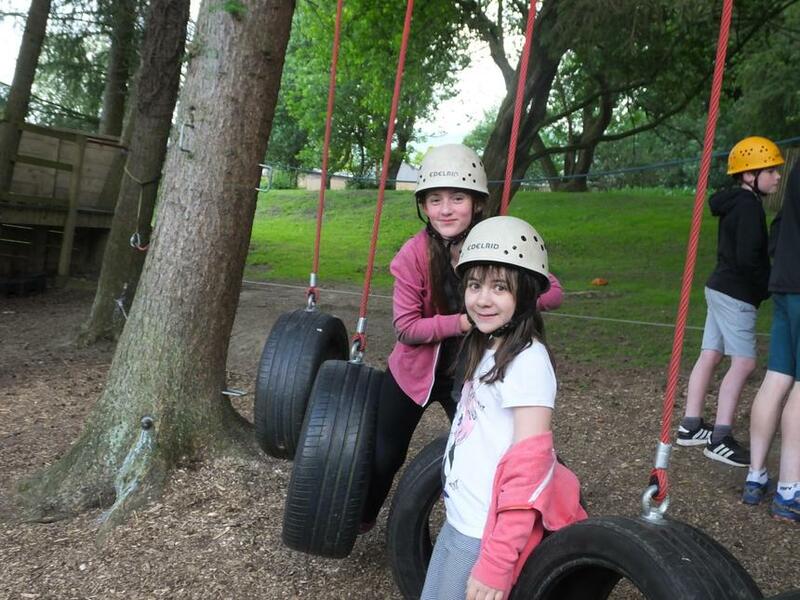 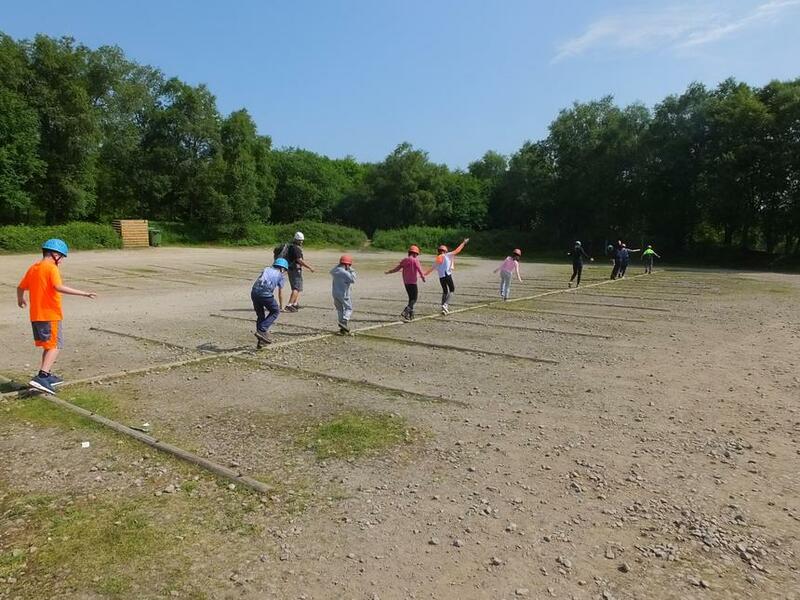 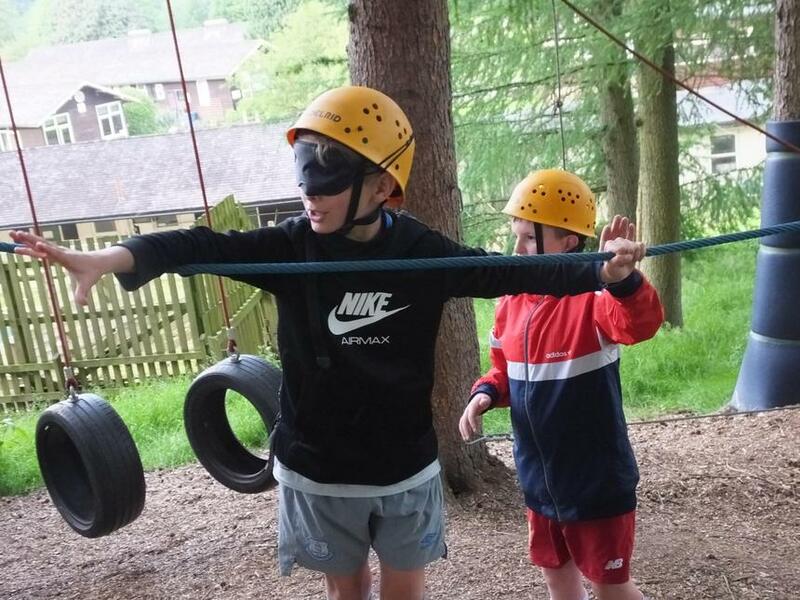 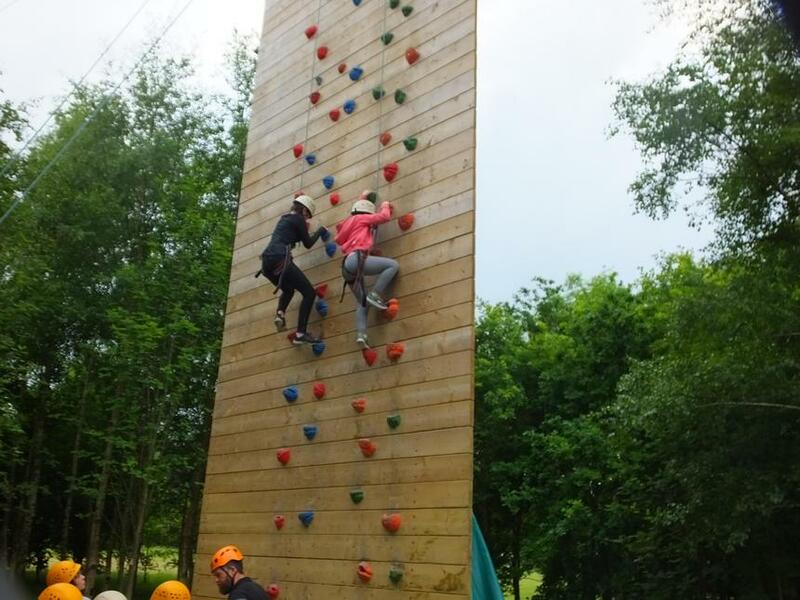 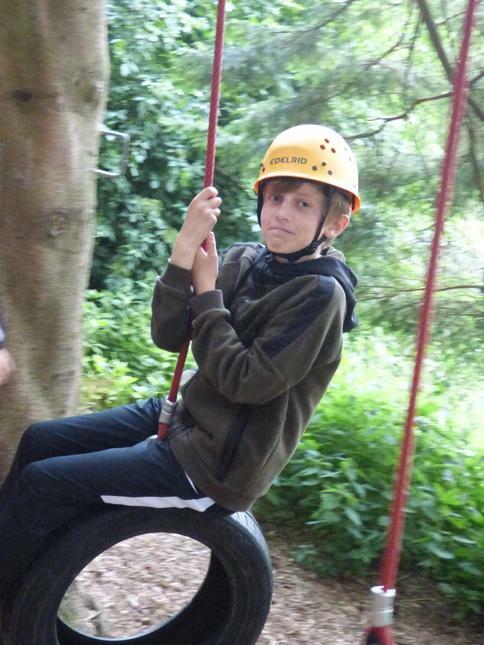 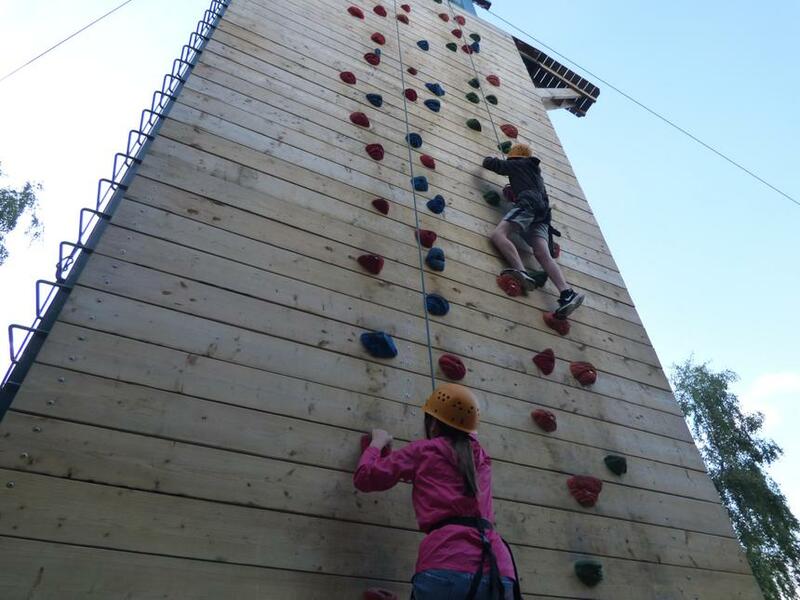 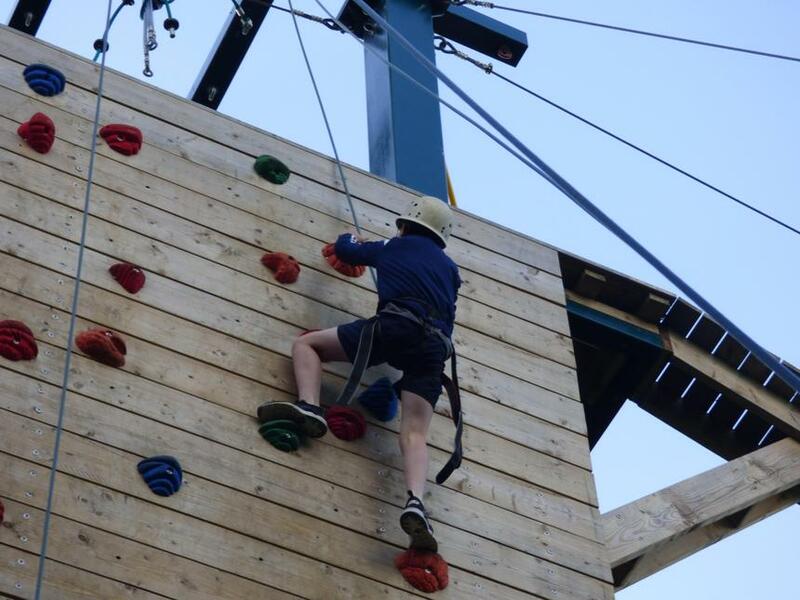 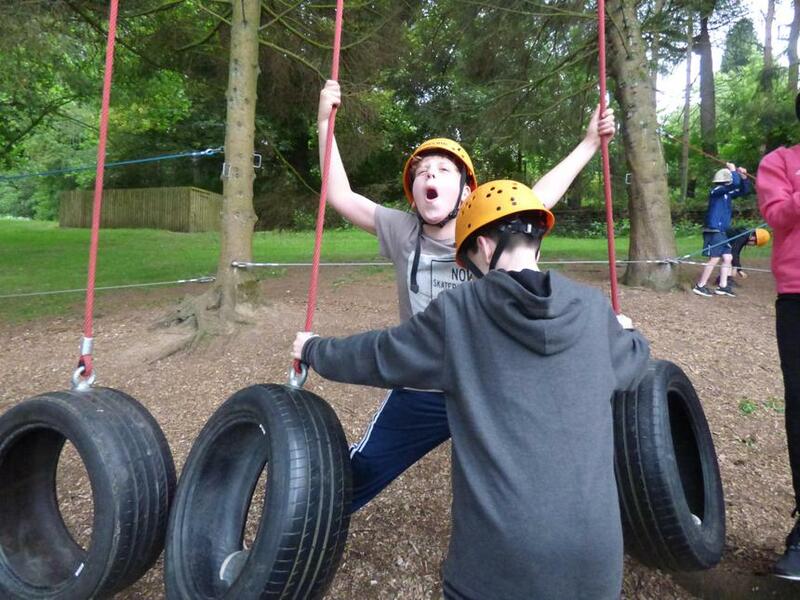 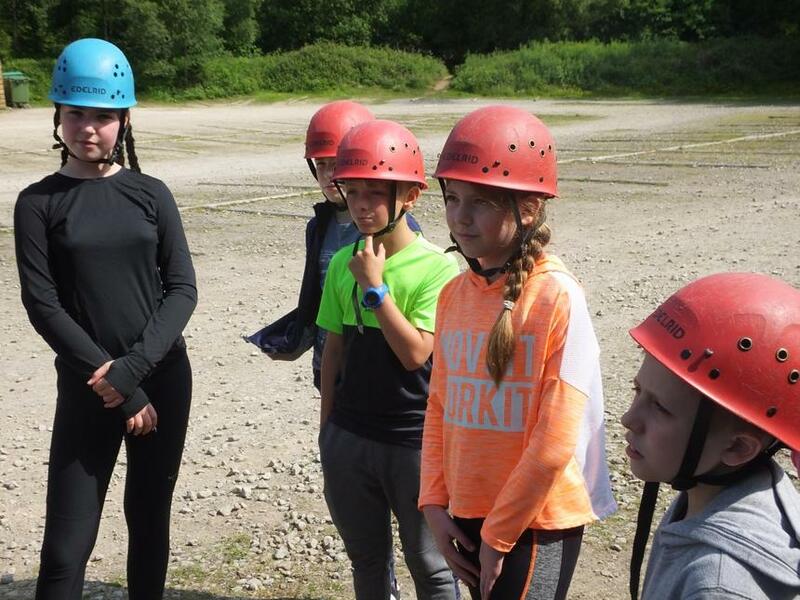 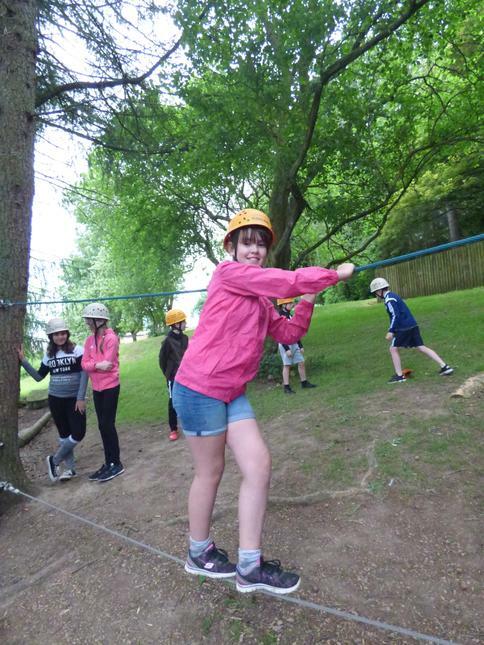 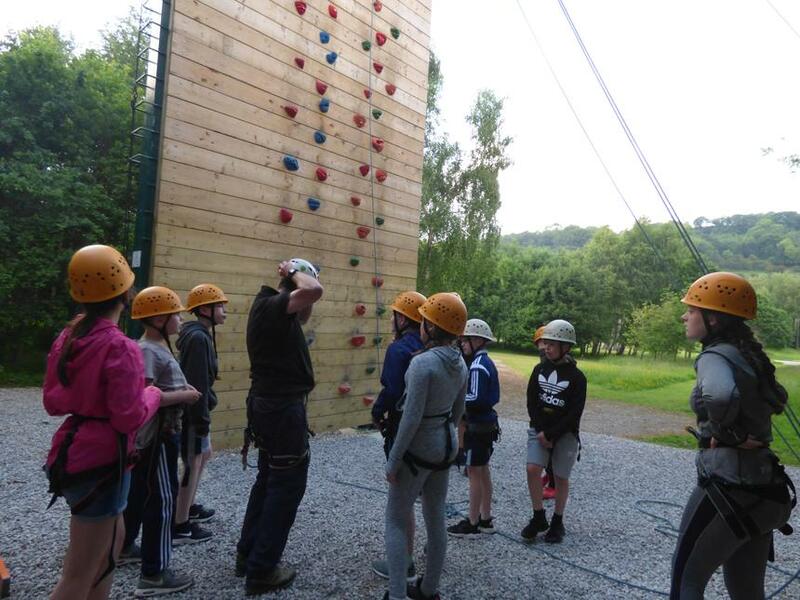 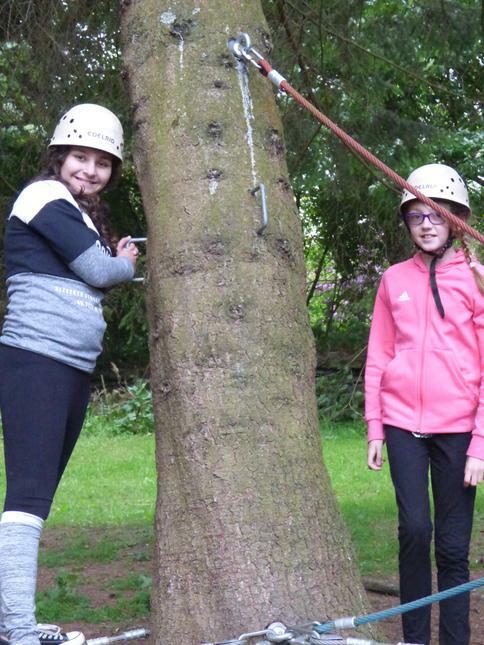 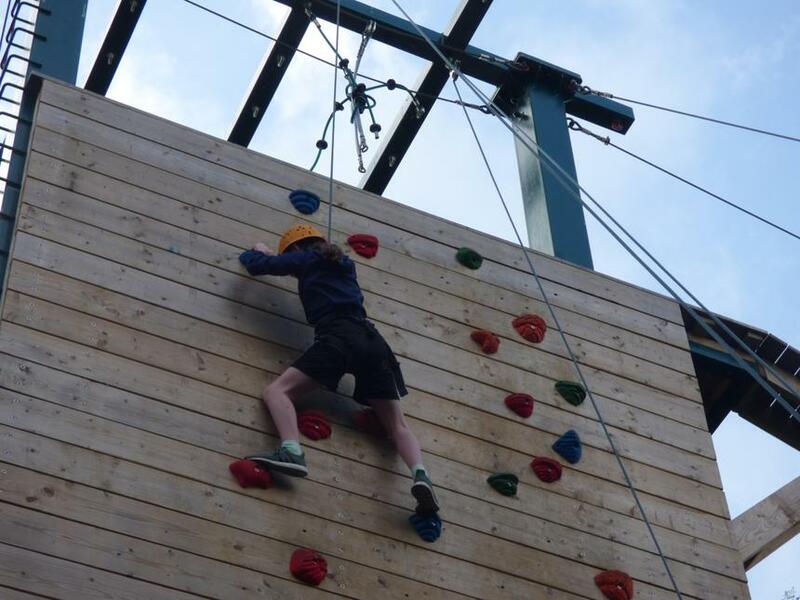 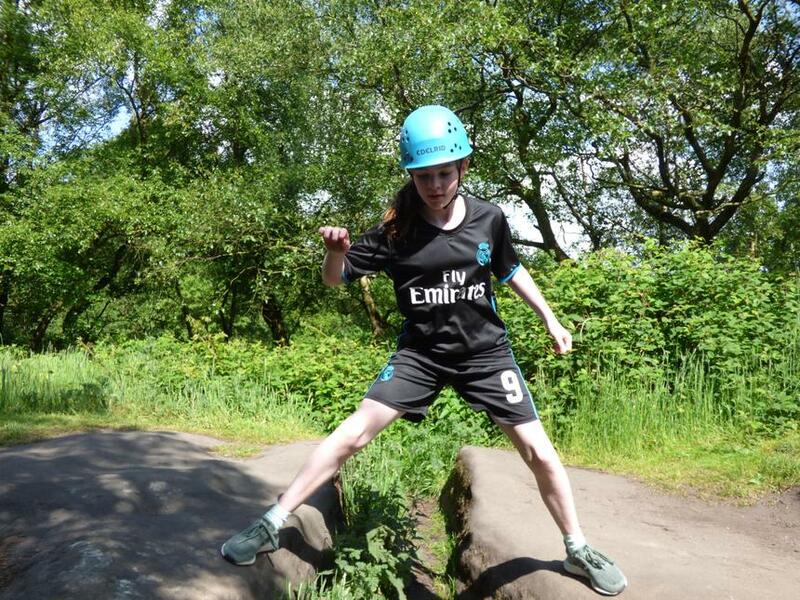 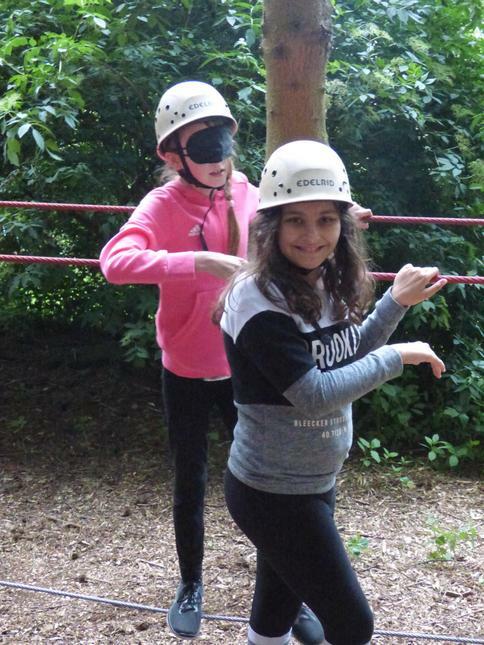 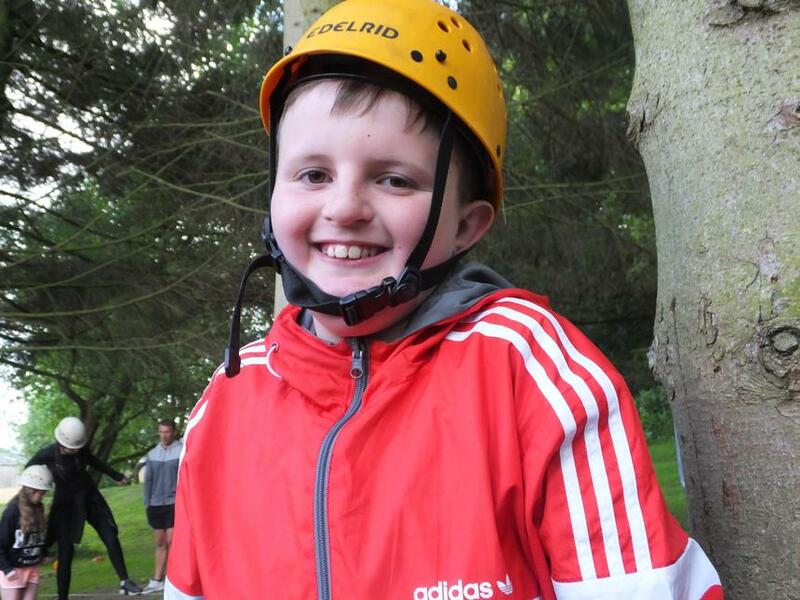 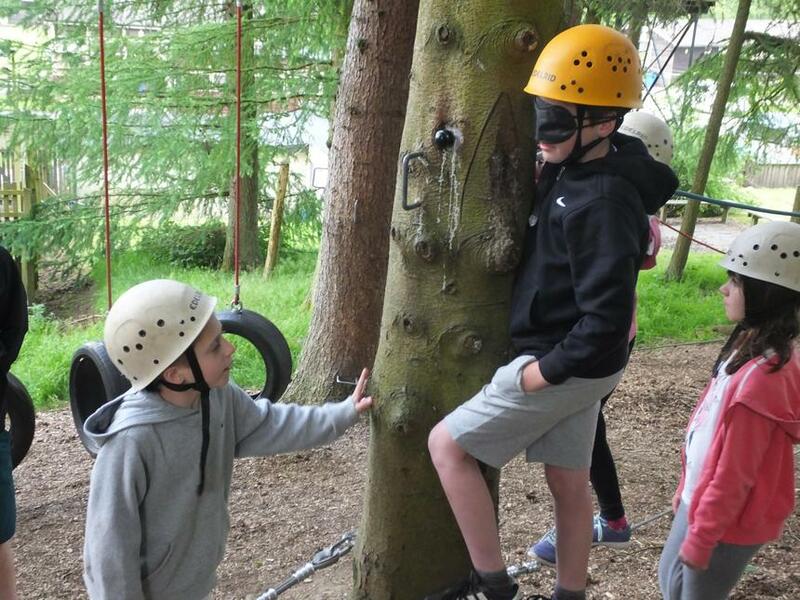 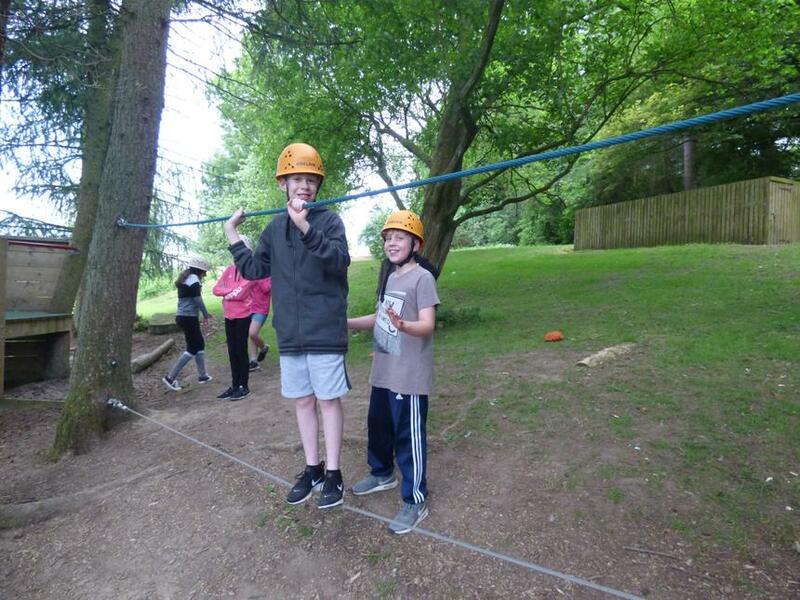 Evening activities involved orienteering , the climbing wall and a night line which was an obstacle course which the children negotiated while blindfolded – not an easy task ! 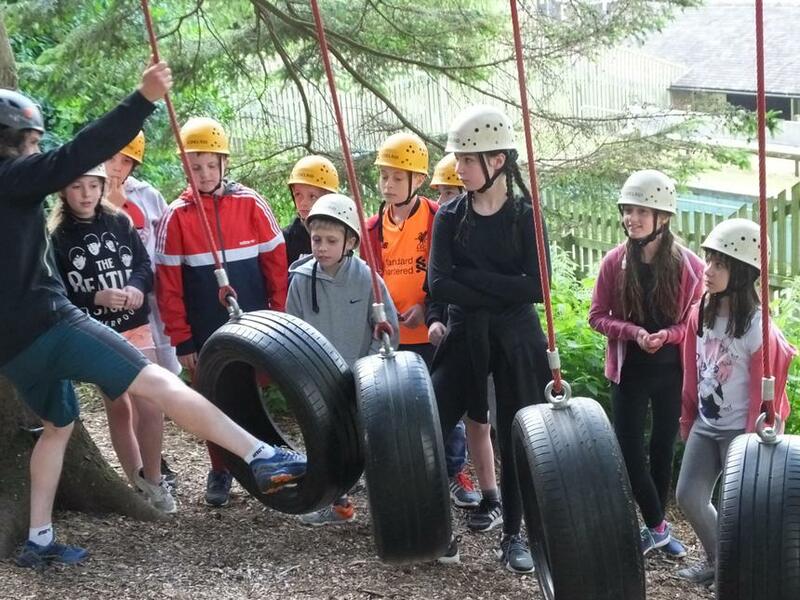 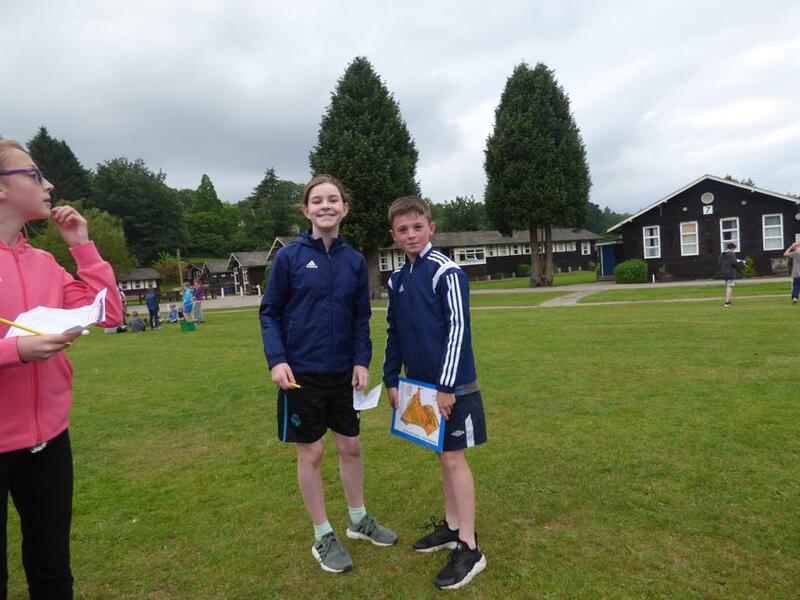 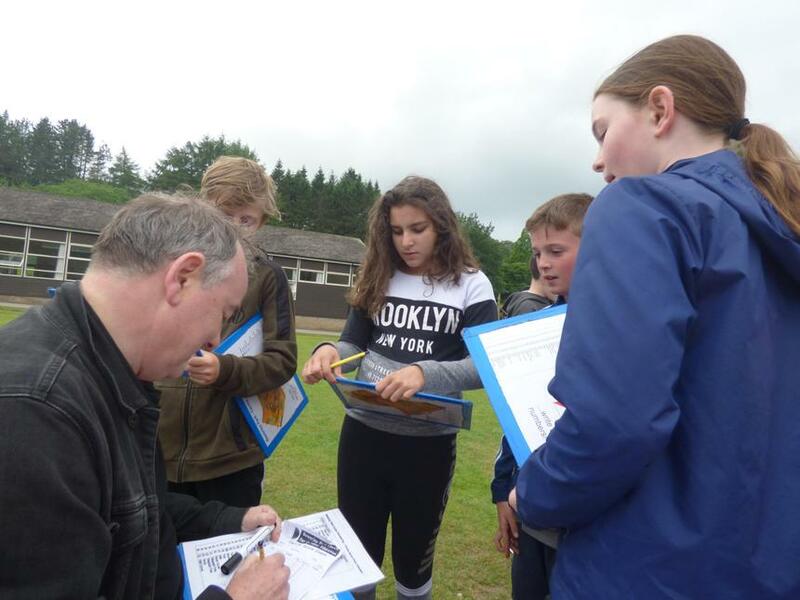 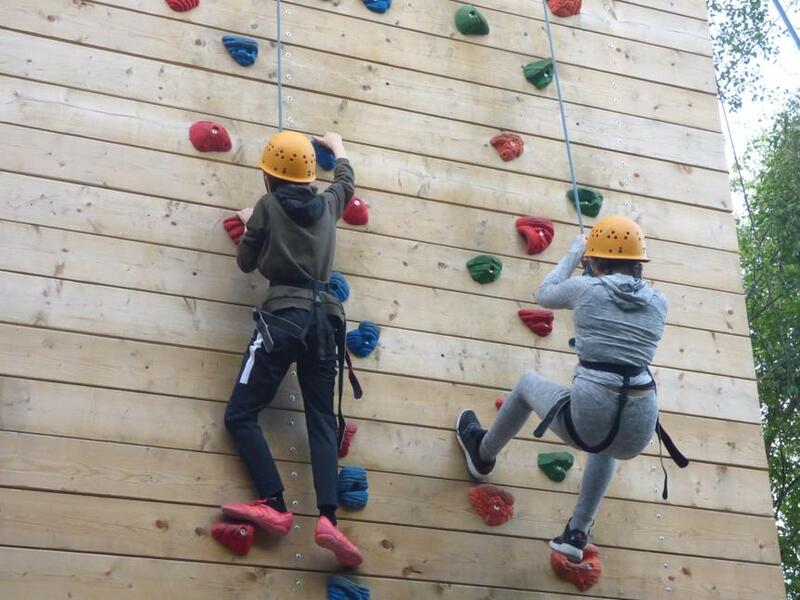 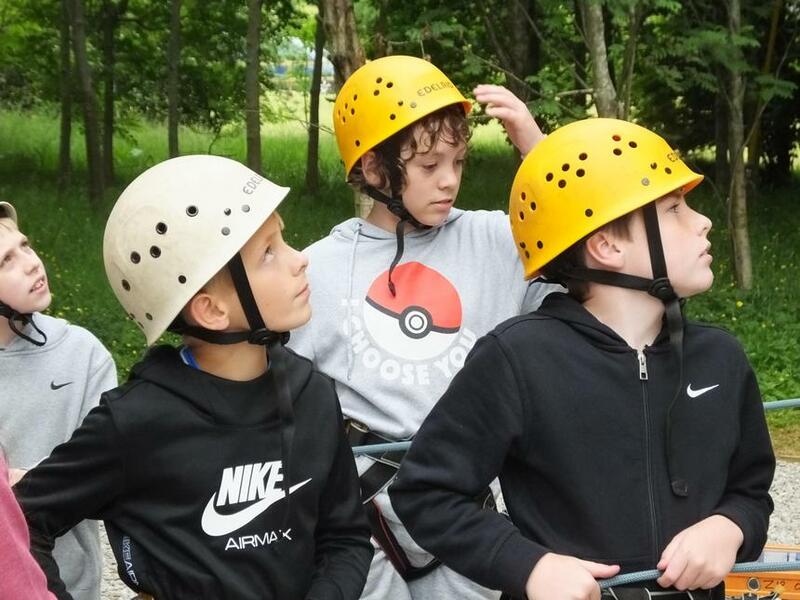 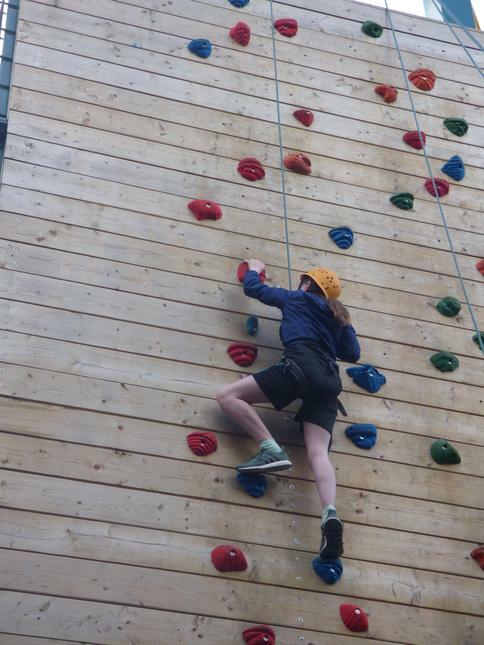 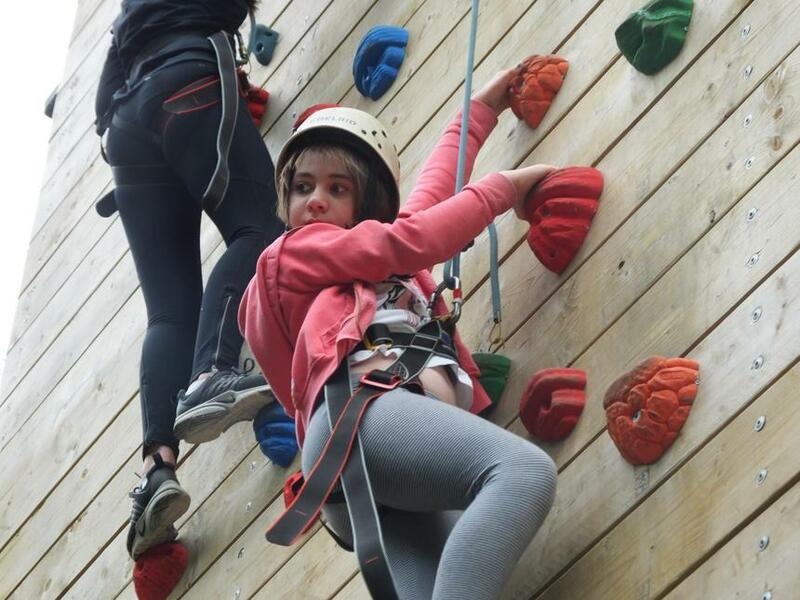 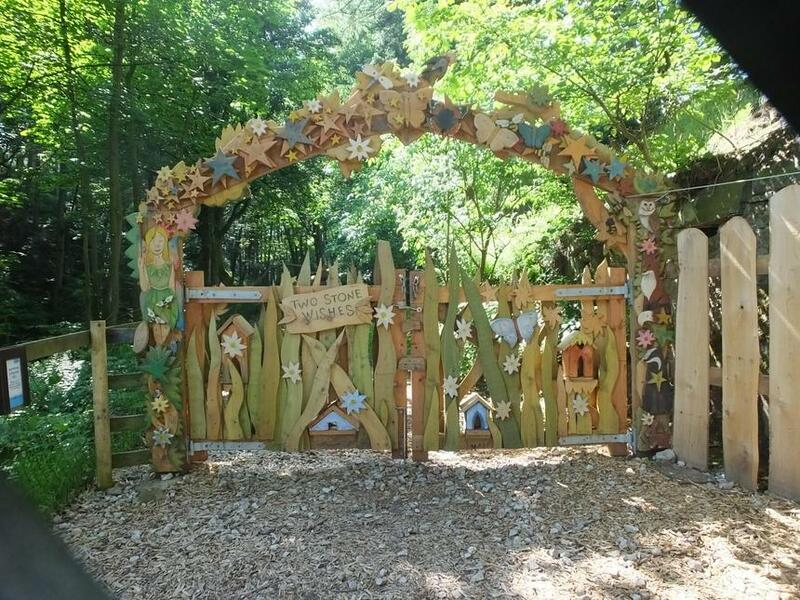 The behaviour of all of our children has been outstanding and commented upon by several adults at the camp – we are very proud of each and every one of them ! 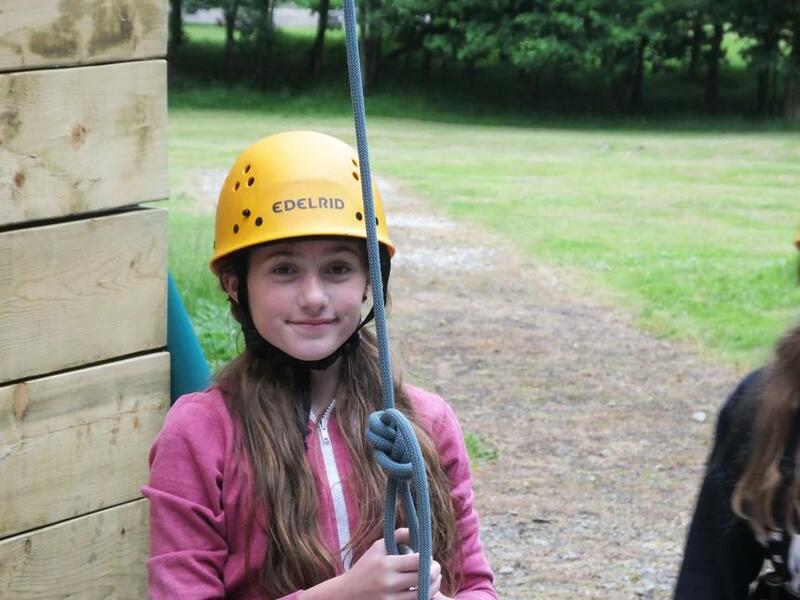 Tomorrow we go to the Eden Camp and also hold our talent show later in the evening.